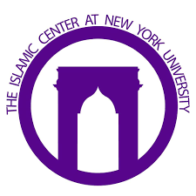 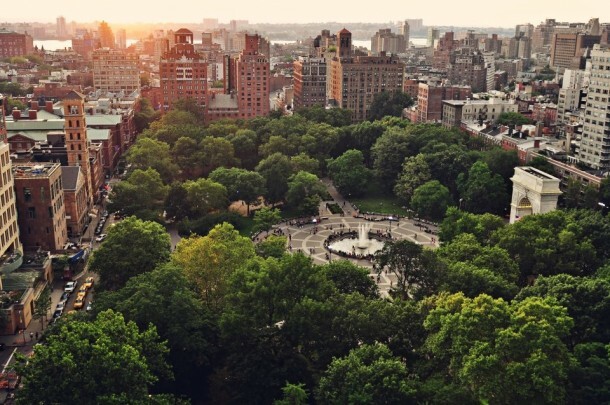 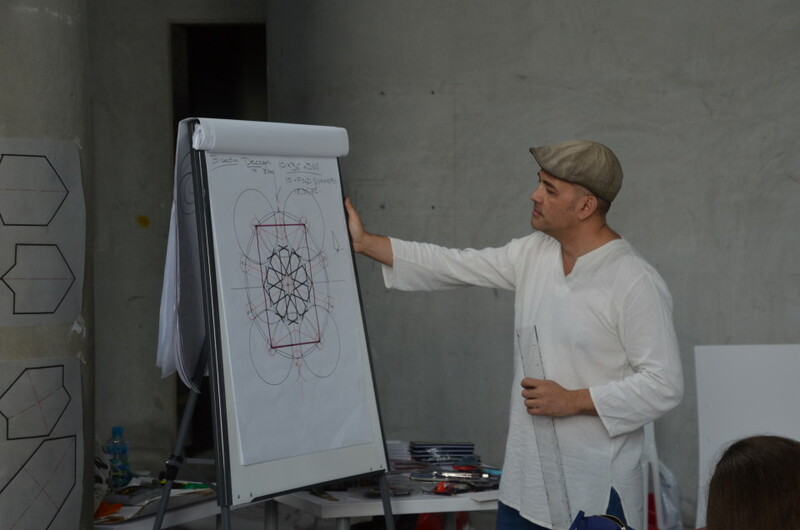 This 3-day program will include 9 distinct by complementary sessions. 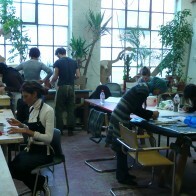 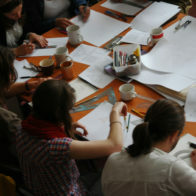 Participants are welcome to take one or all the sessions. 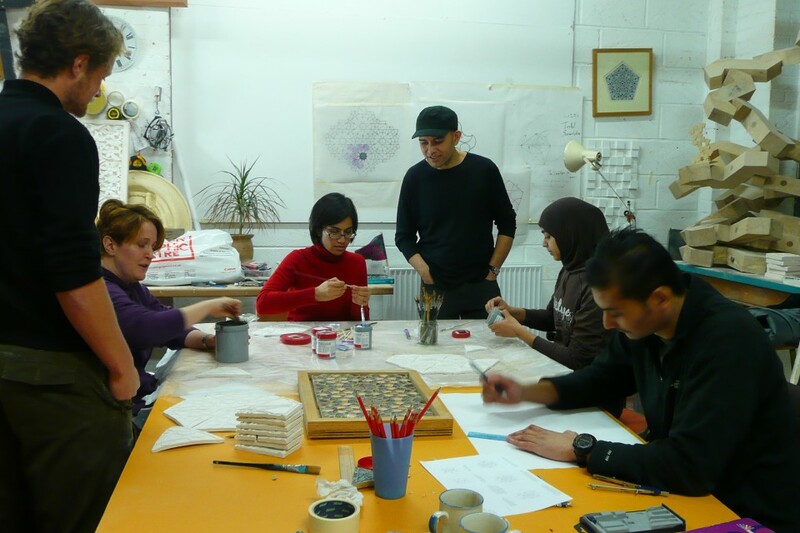 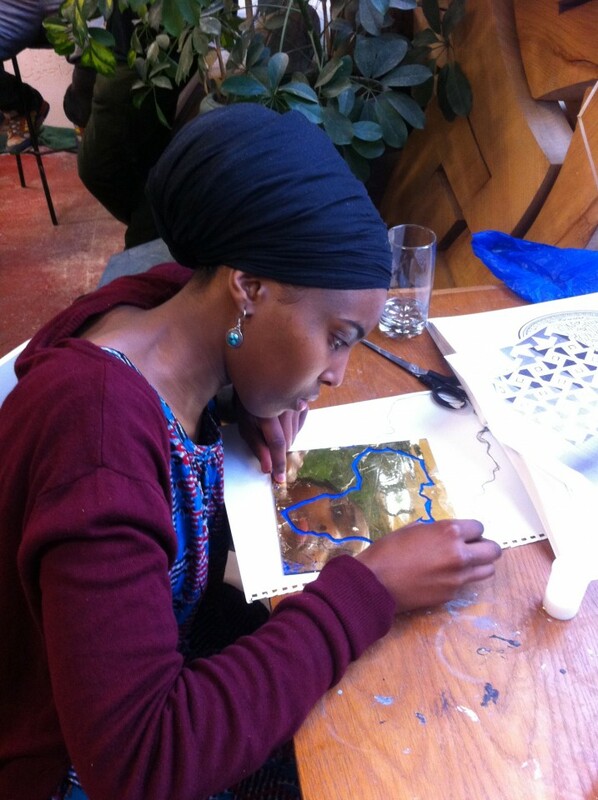 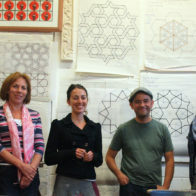 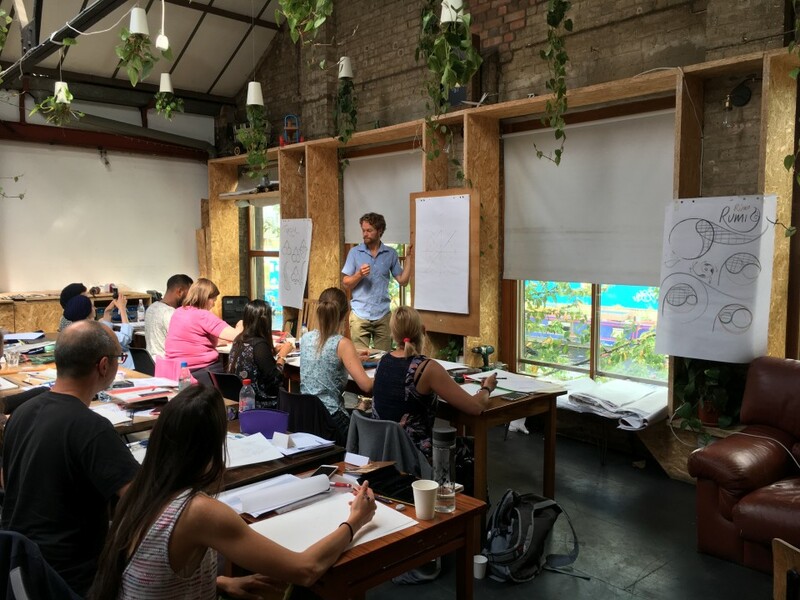 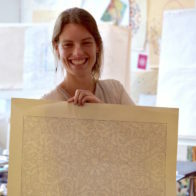 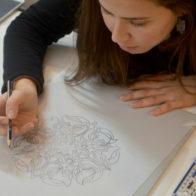 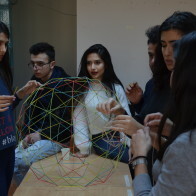 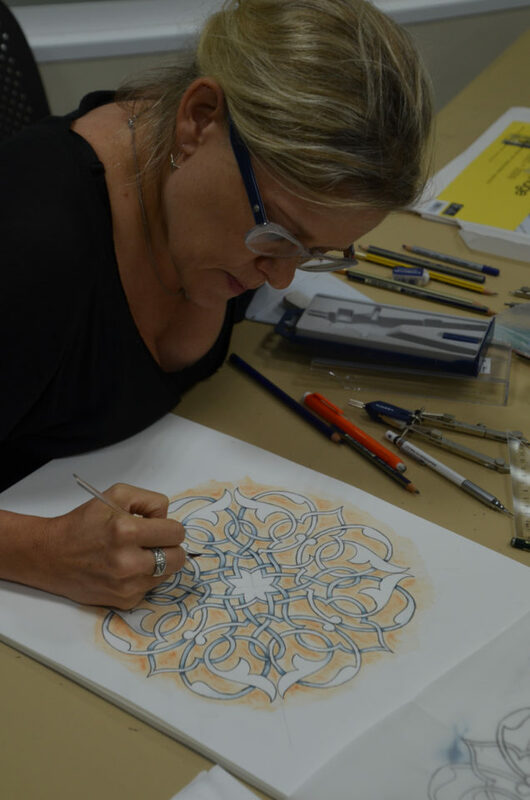 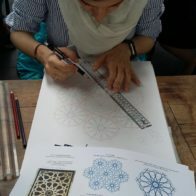 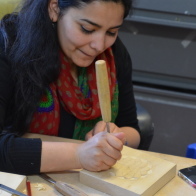 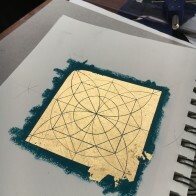 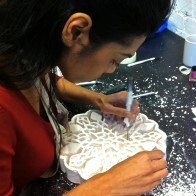 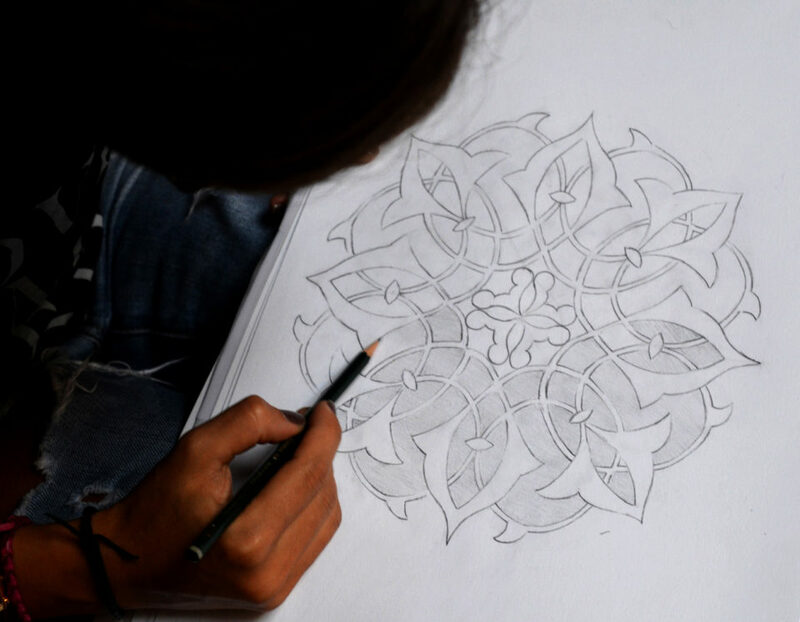 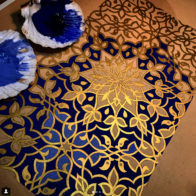 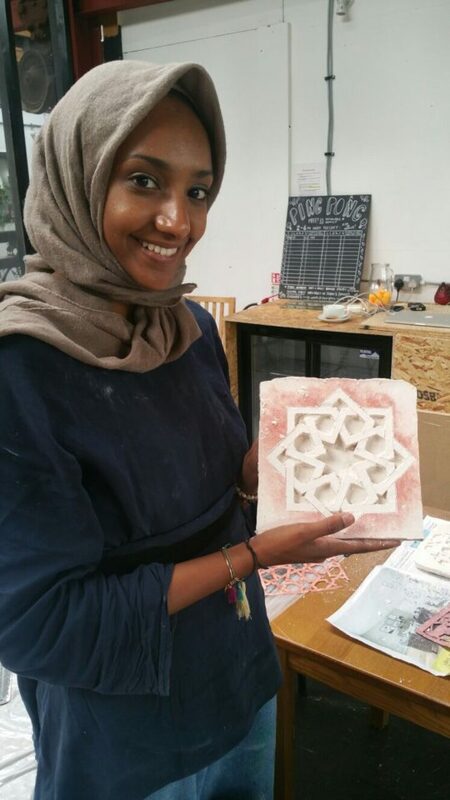 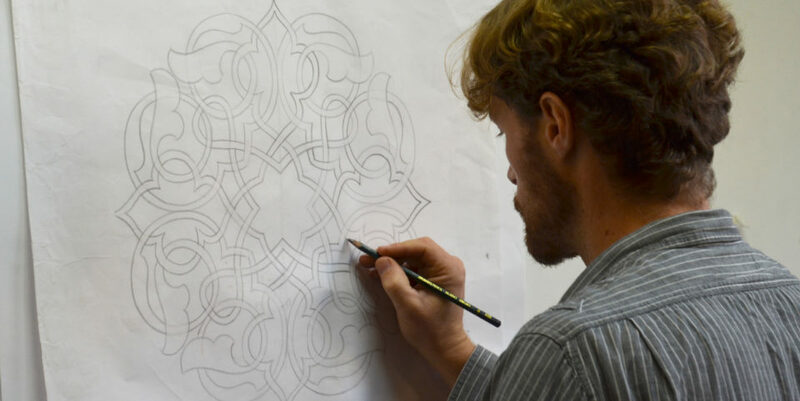 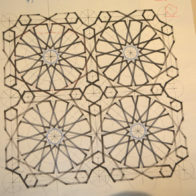 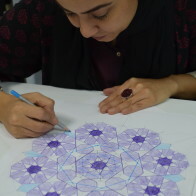 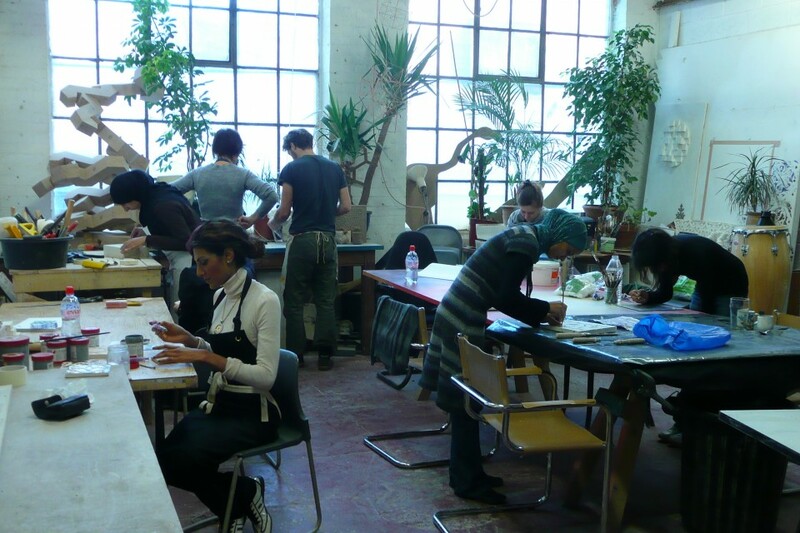 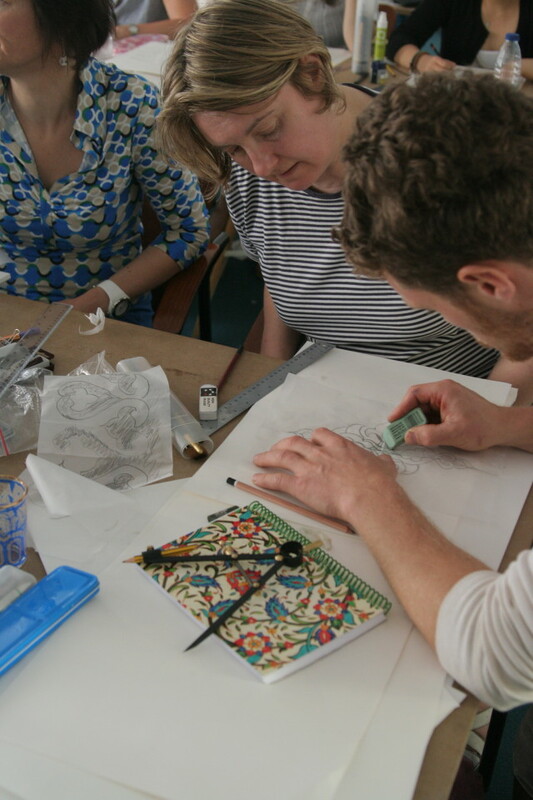 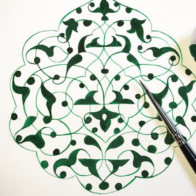 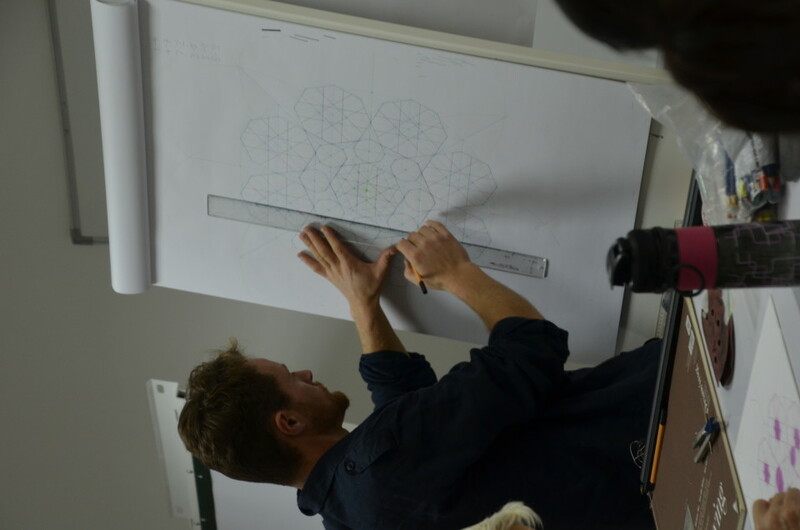 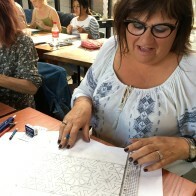 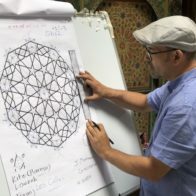 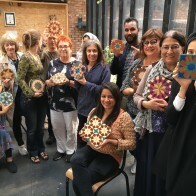 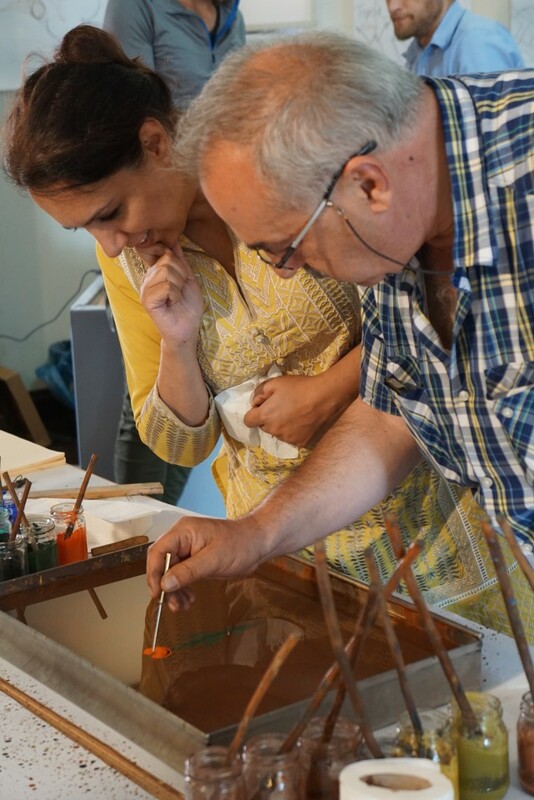 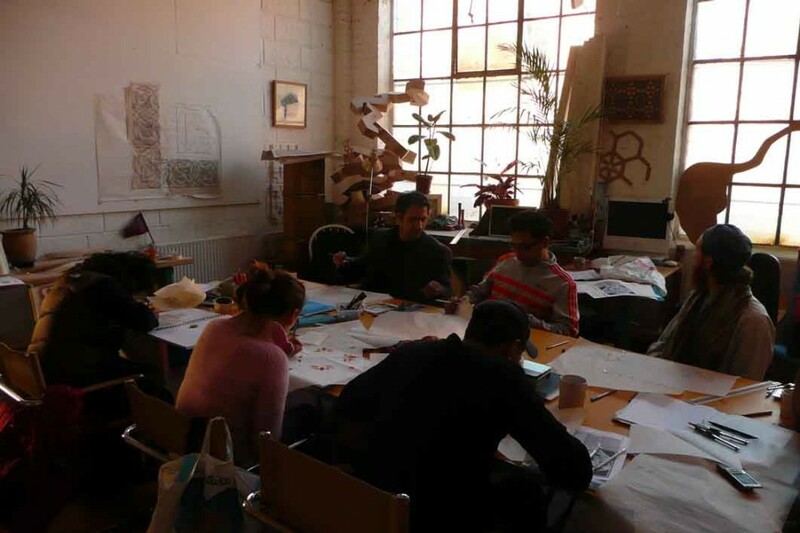 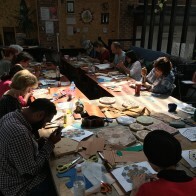 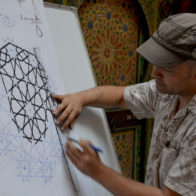 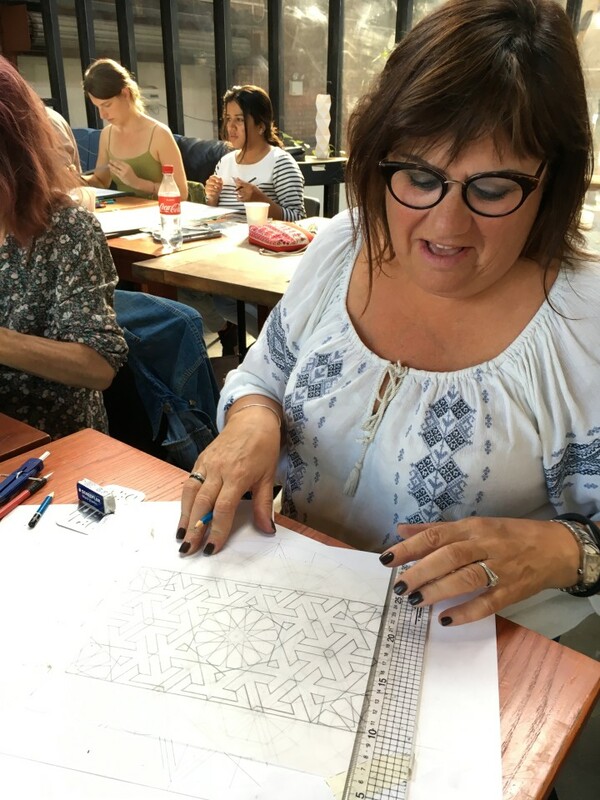 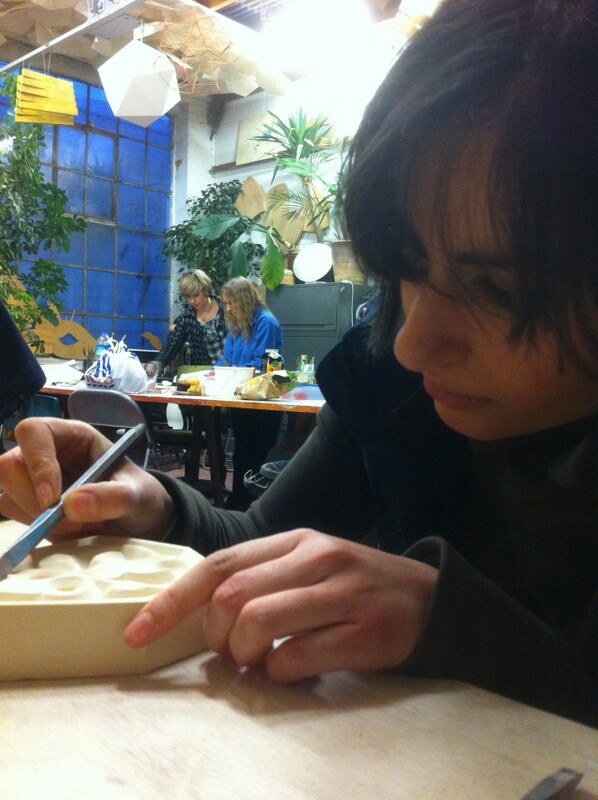 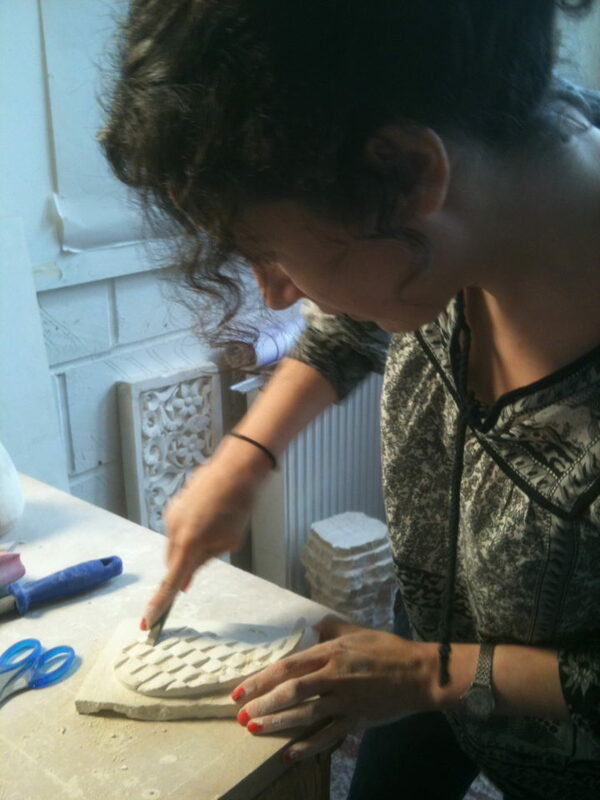 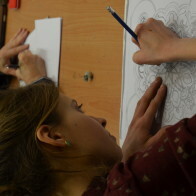 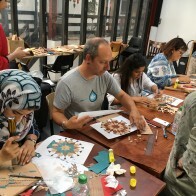 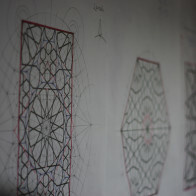 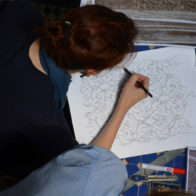 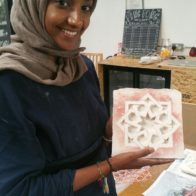 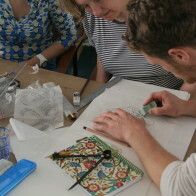 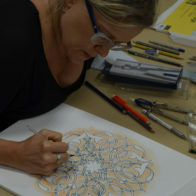 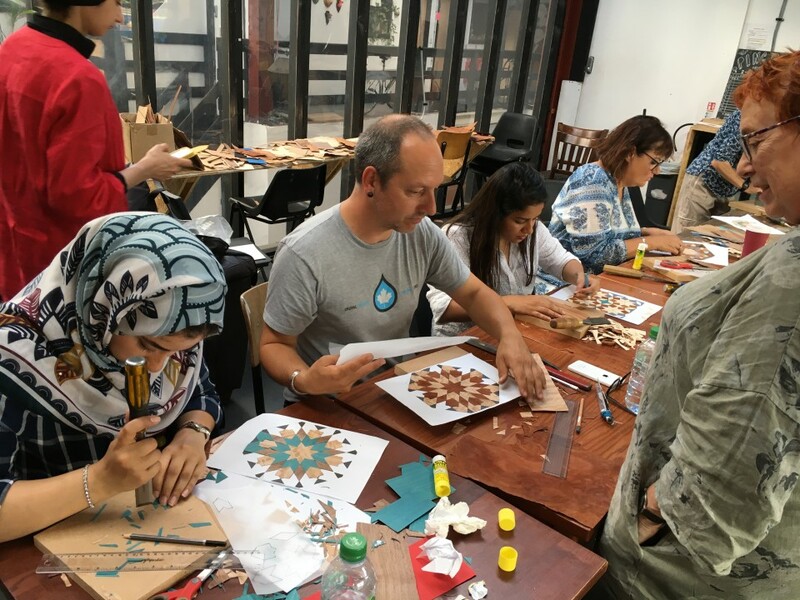 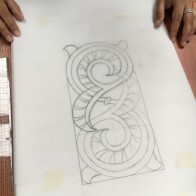 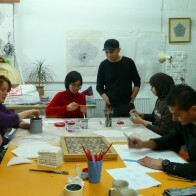 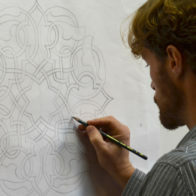 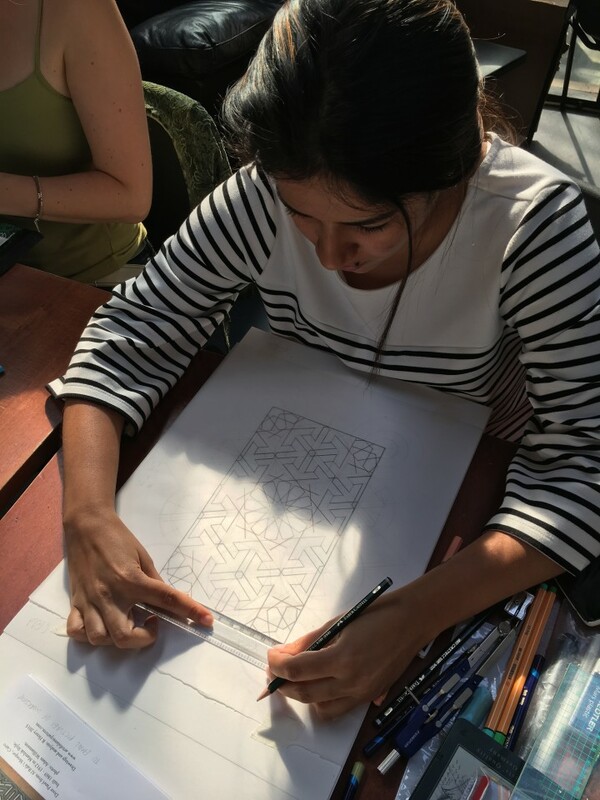 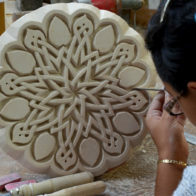 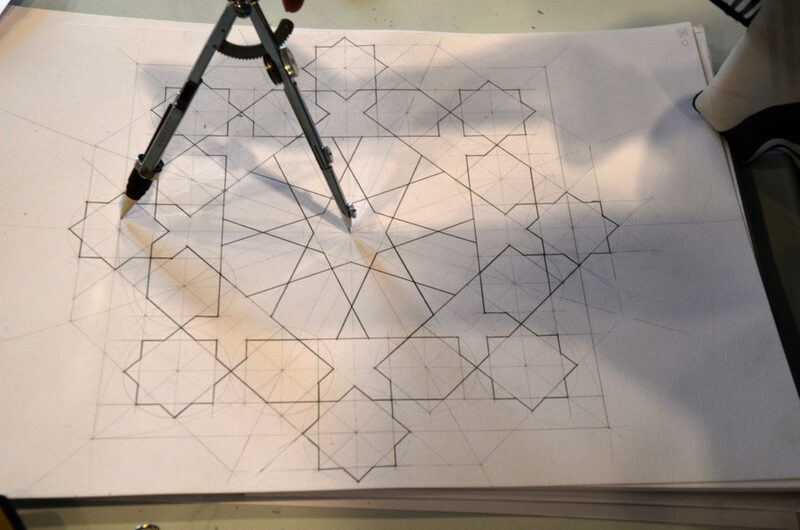 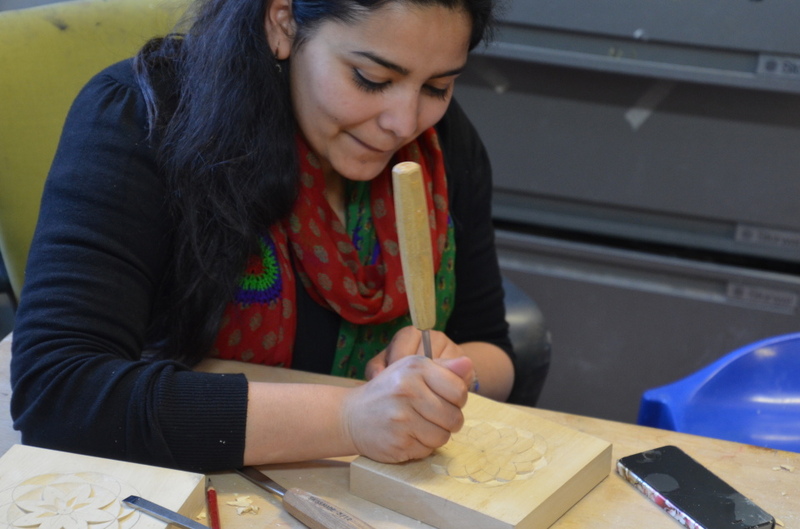 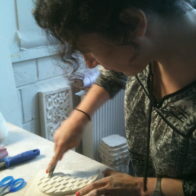 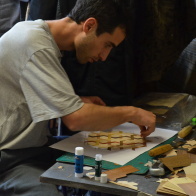 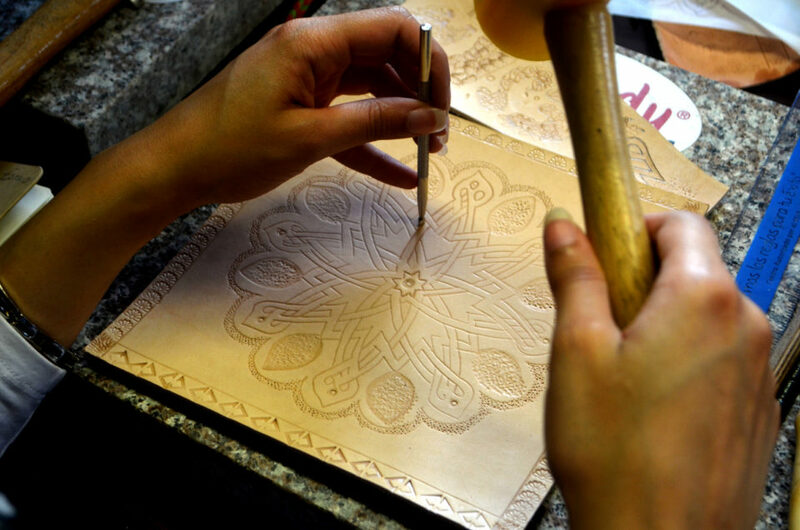 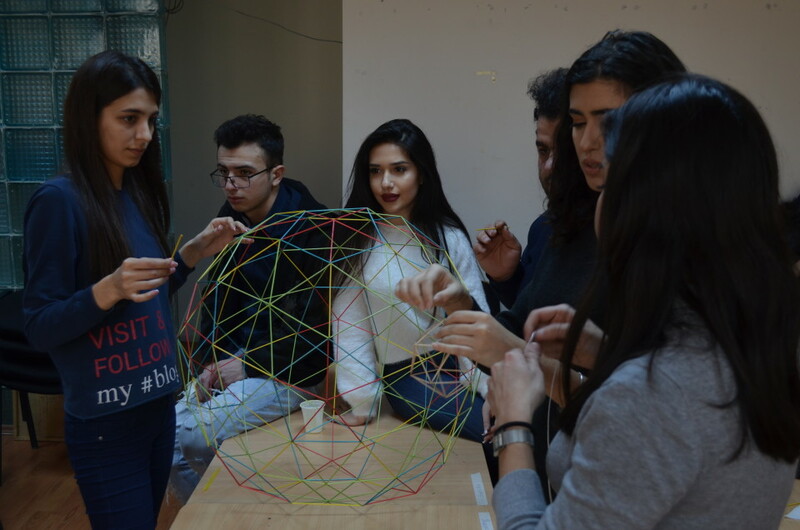 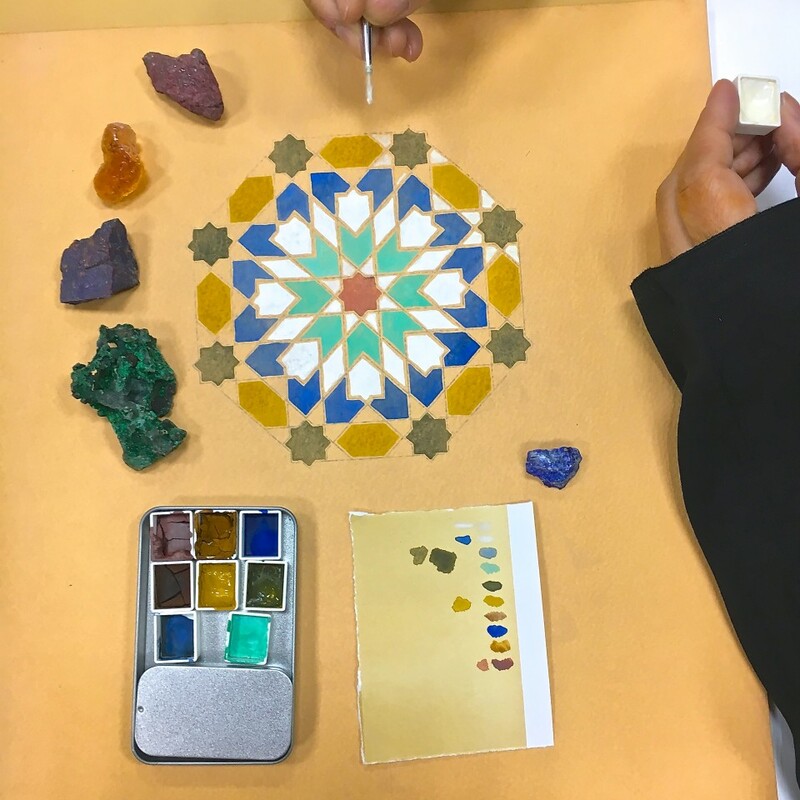 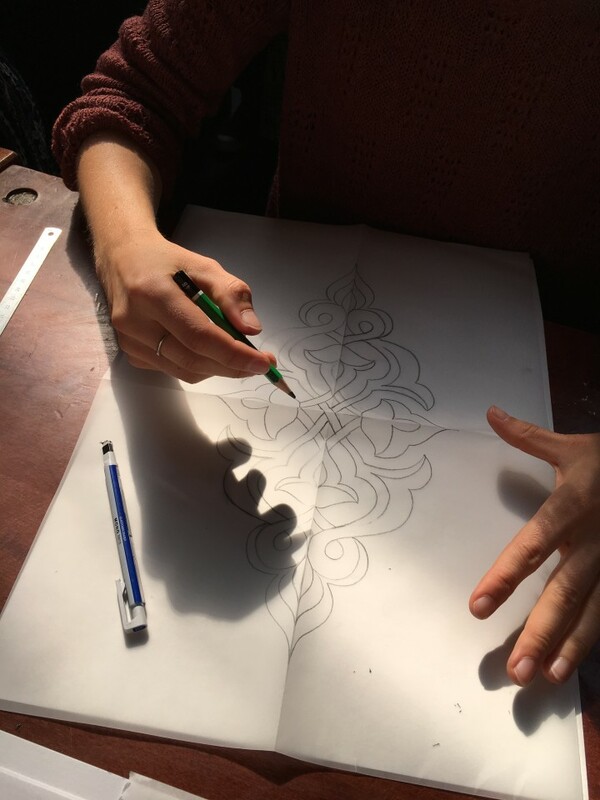 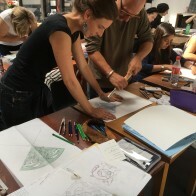 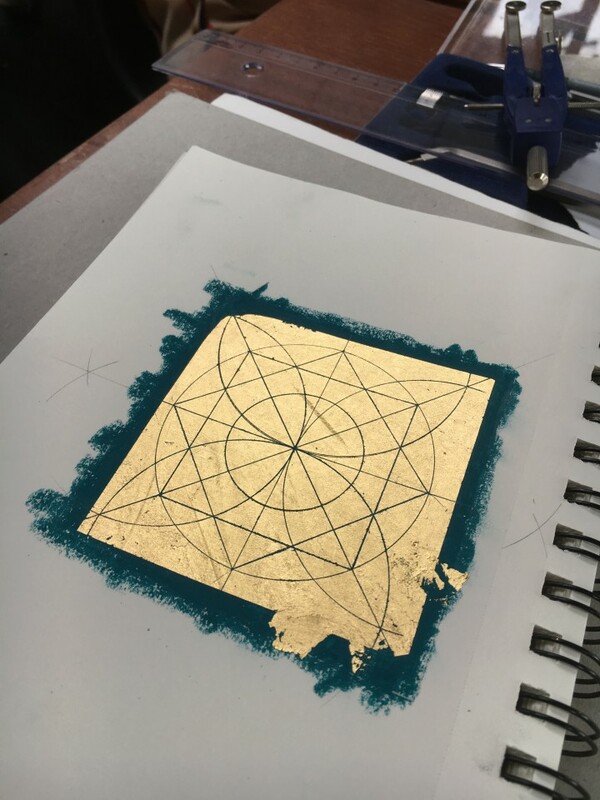 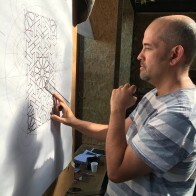 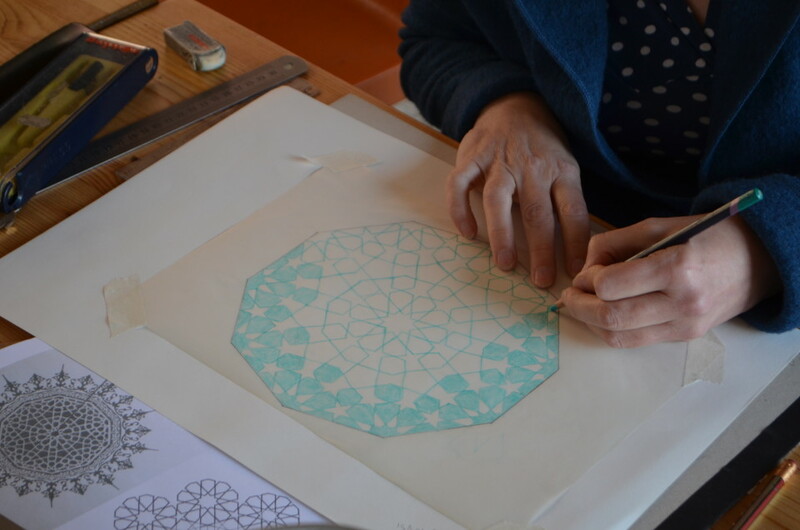 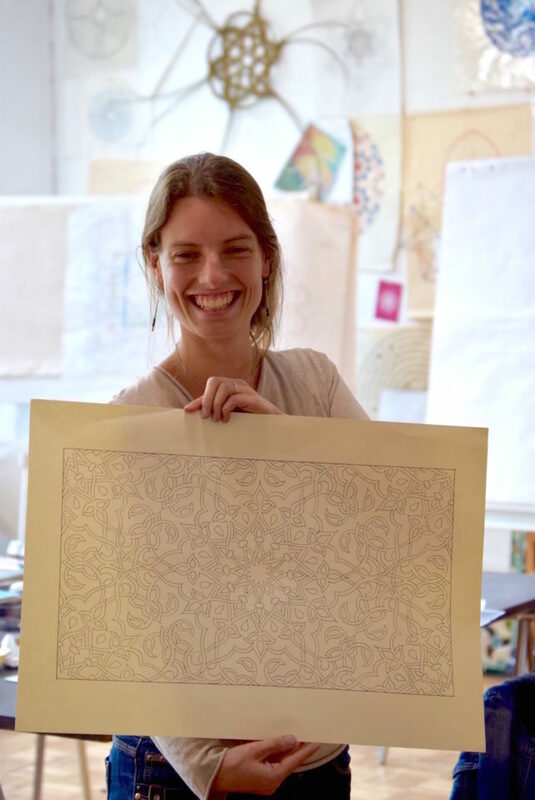 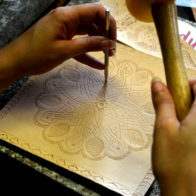 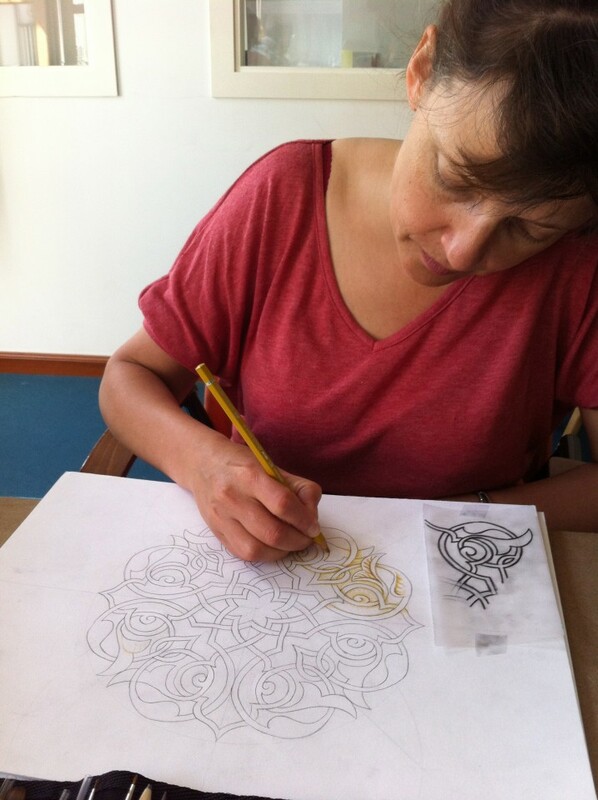 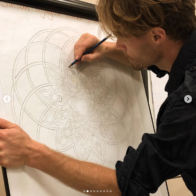 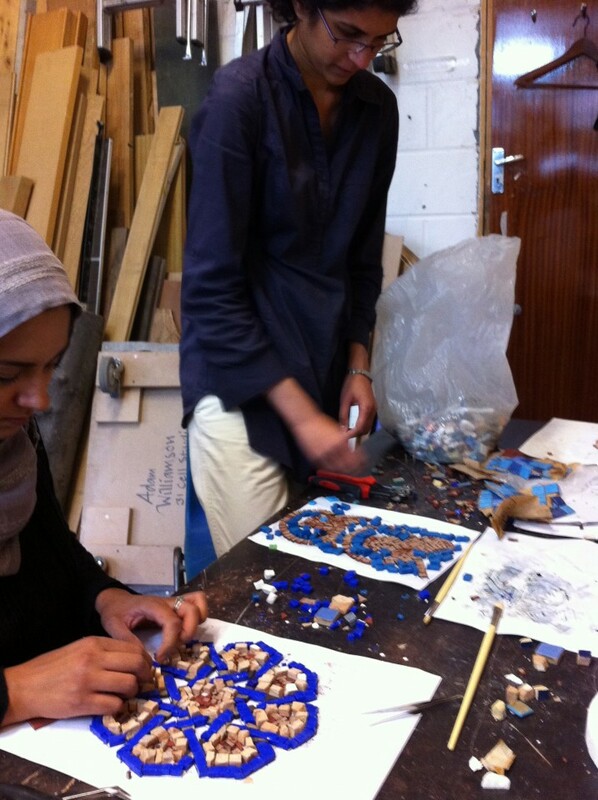 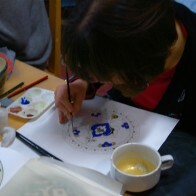 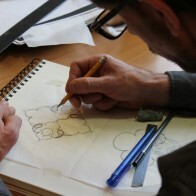 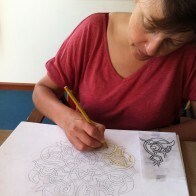 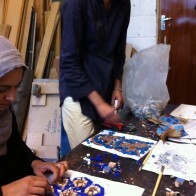 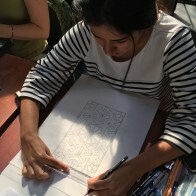 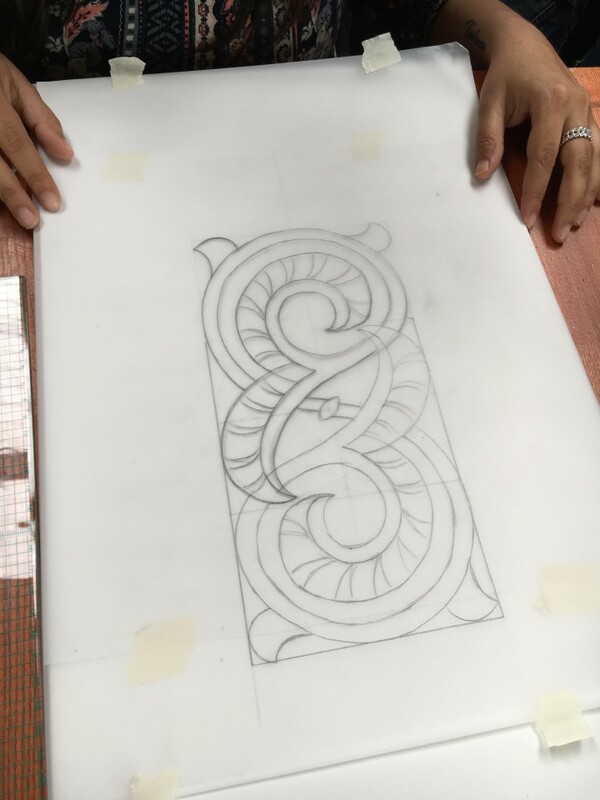 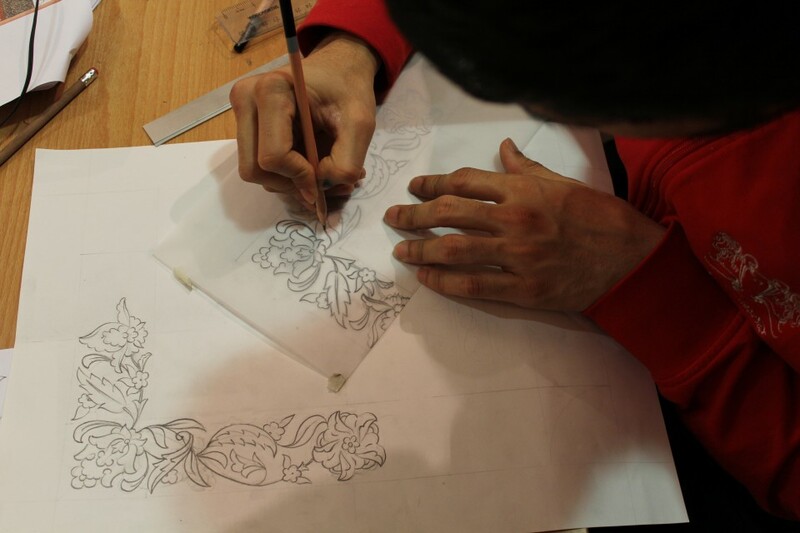 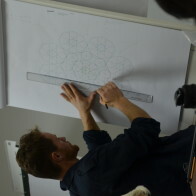 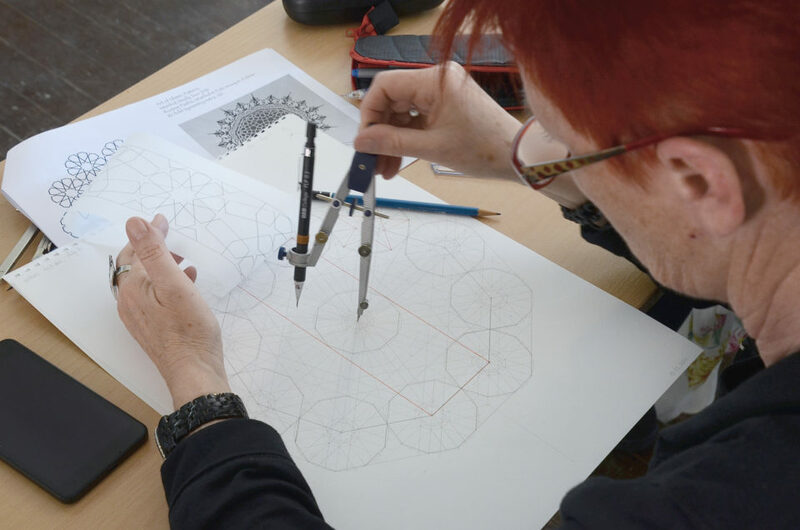 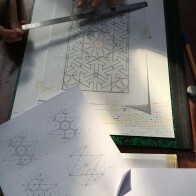 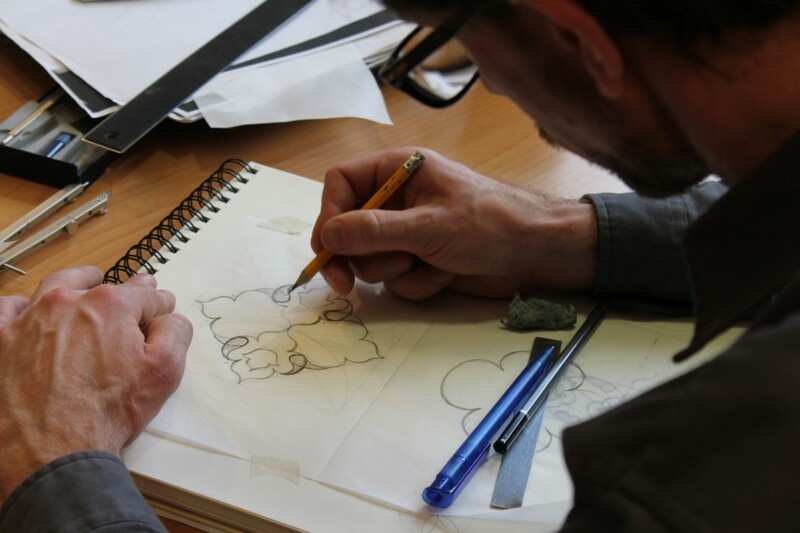 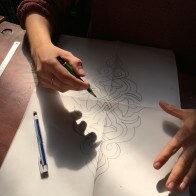 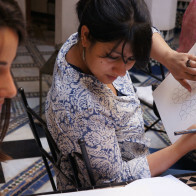 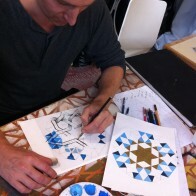 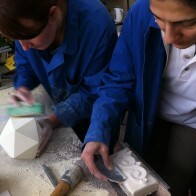 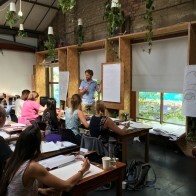 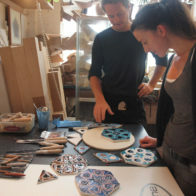 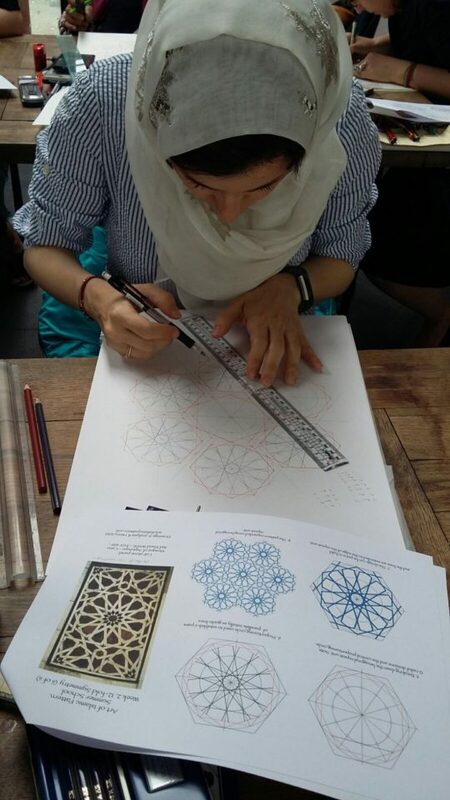 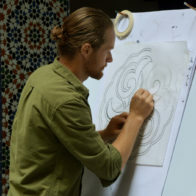 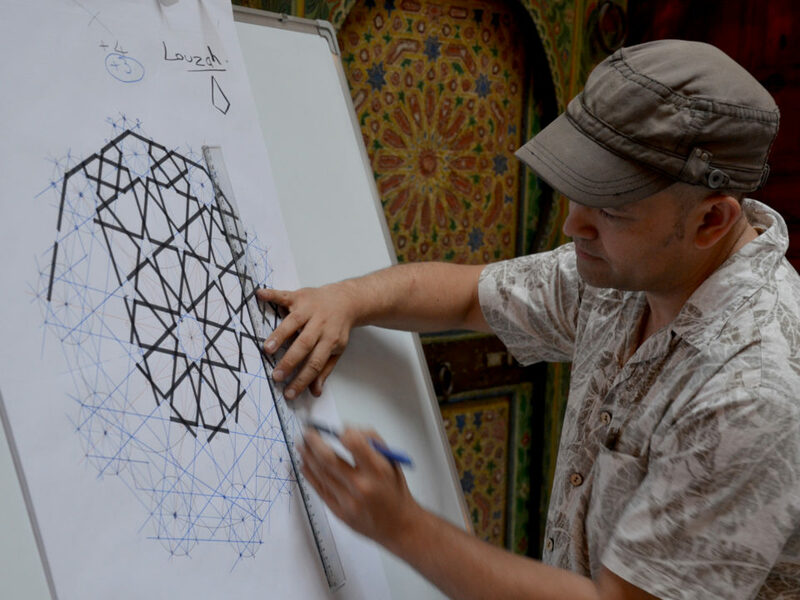 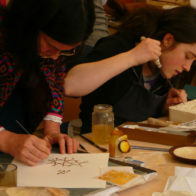 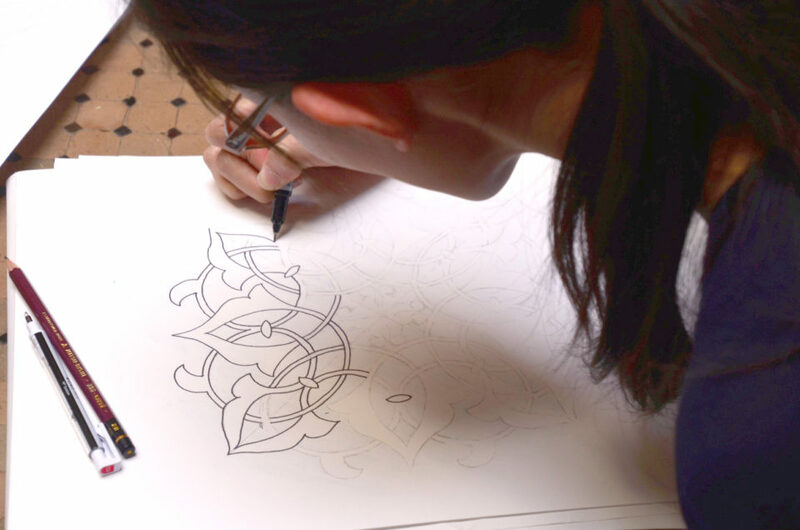 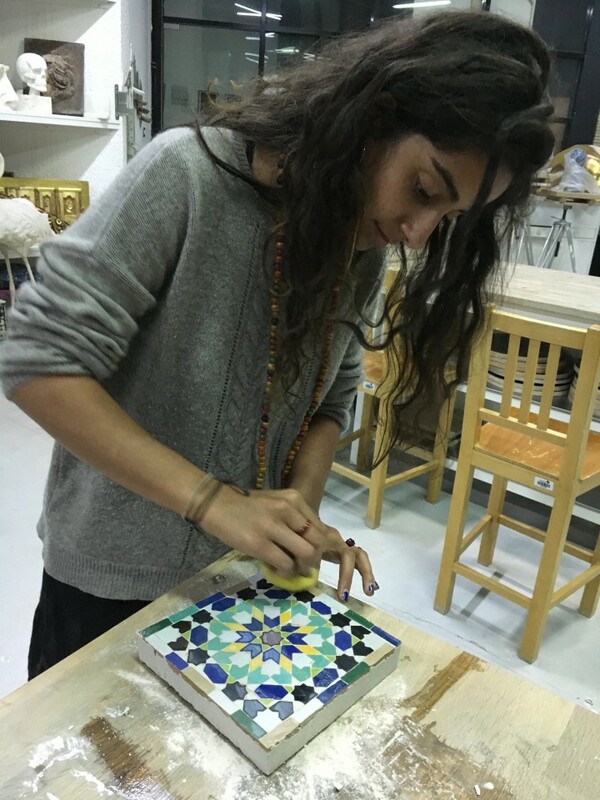 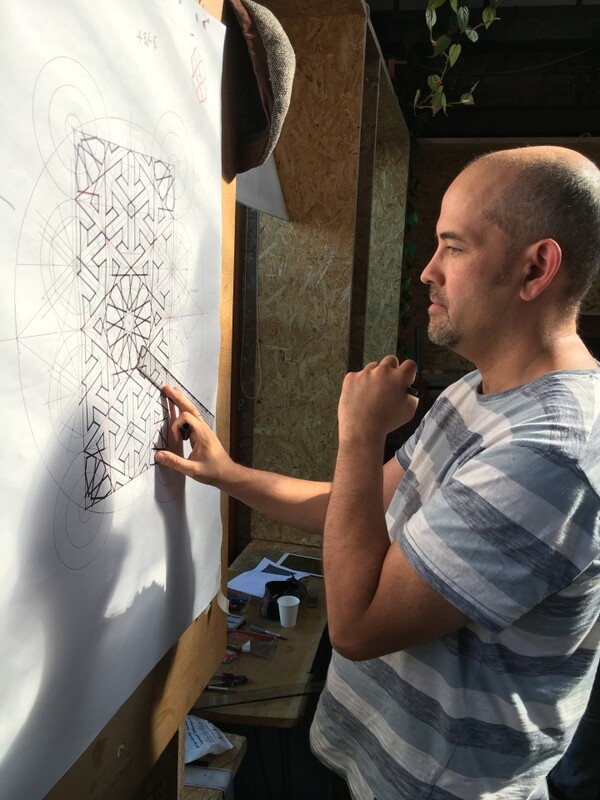 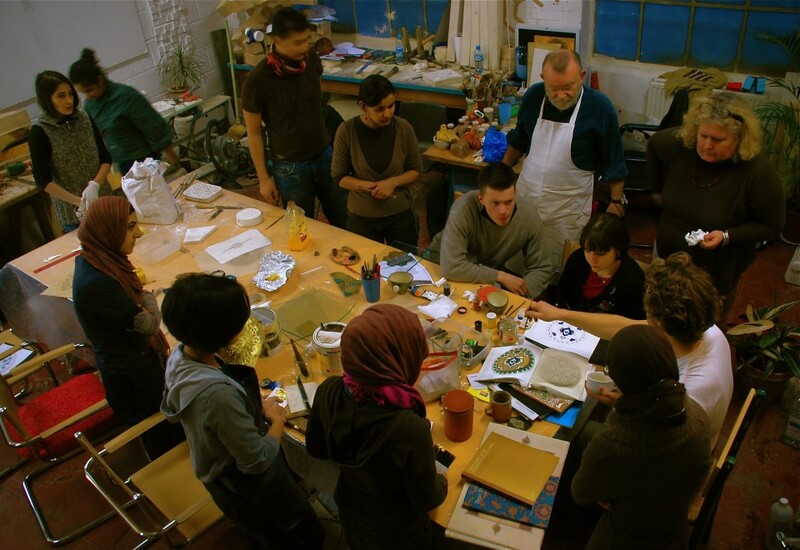 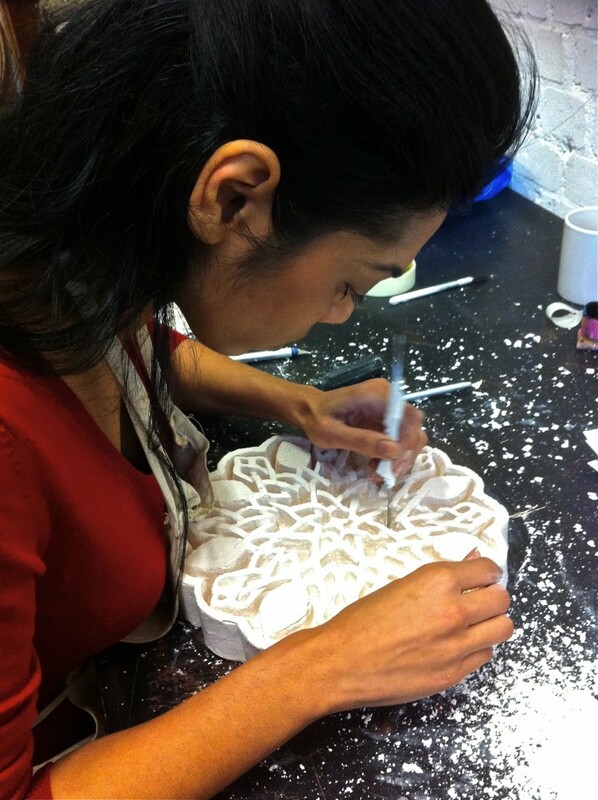 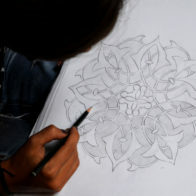 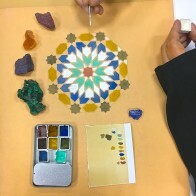 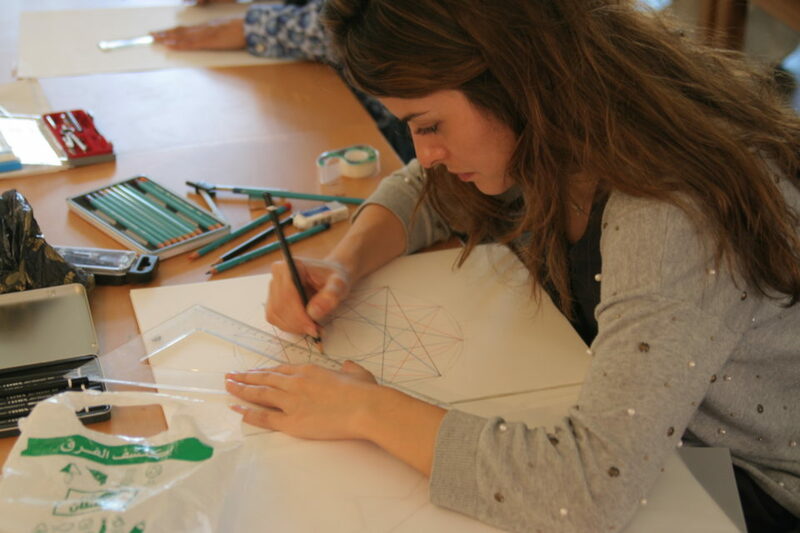 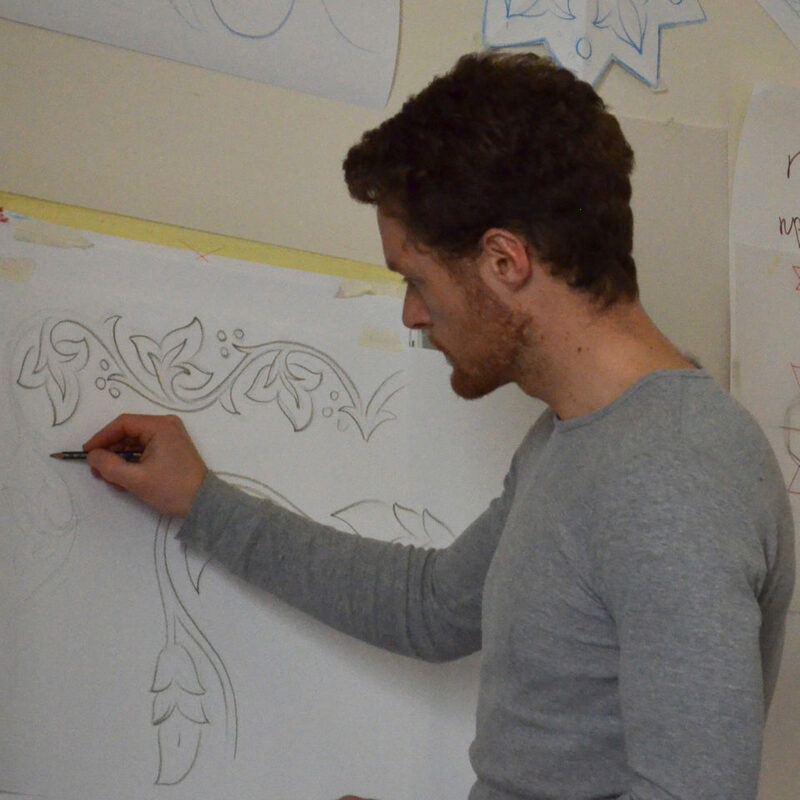 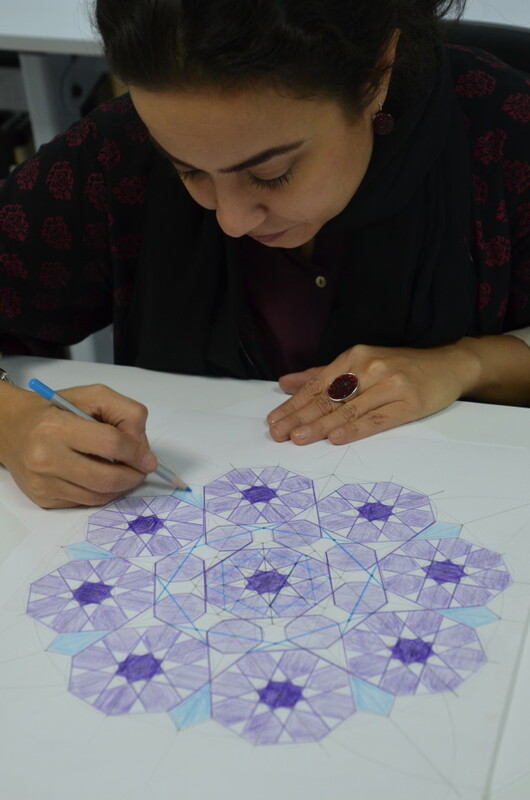 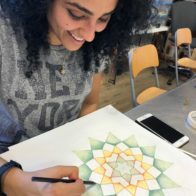 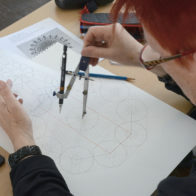 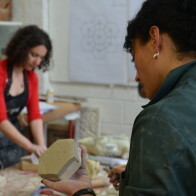 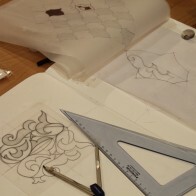 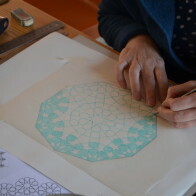 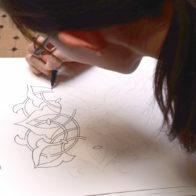 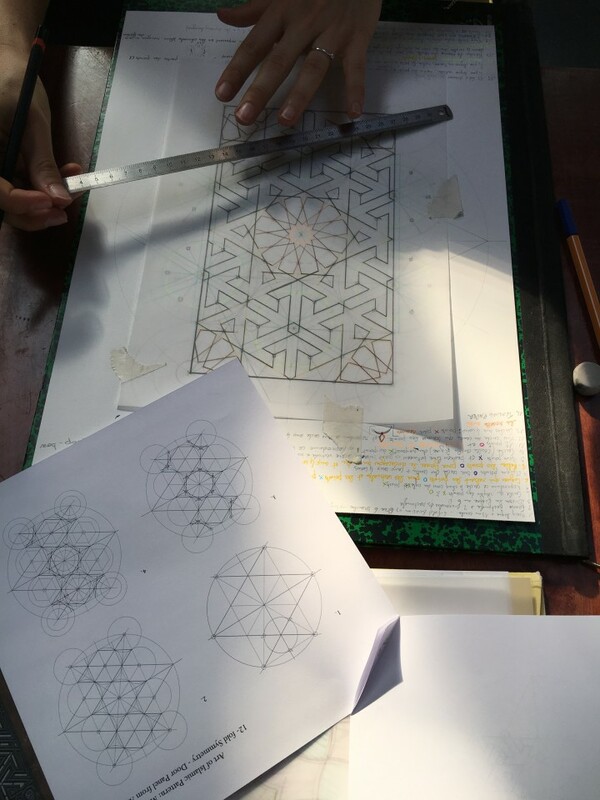 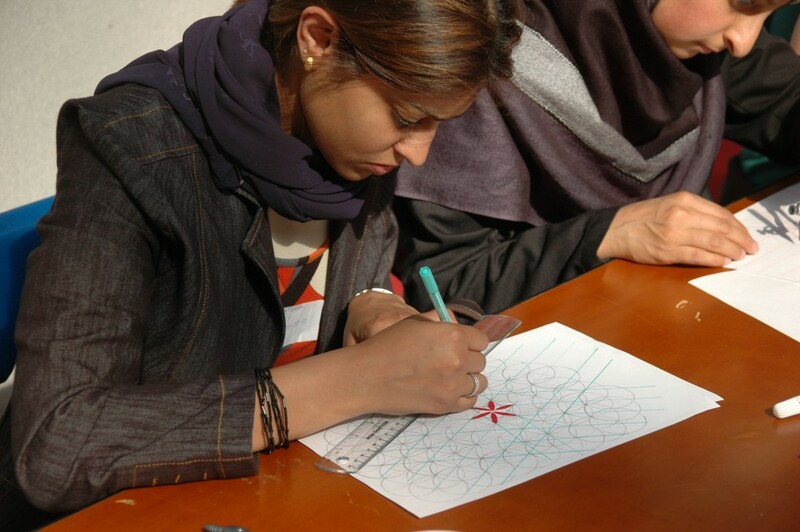 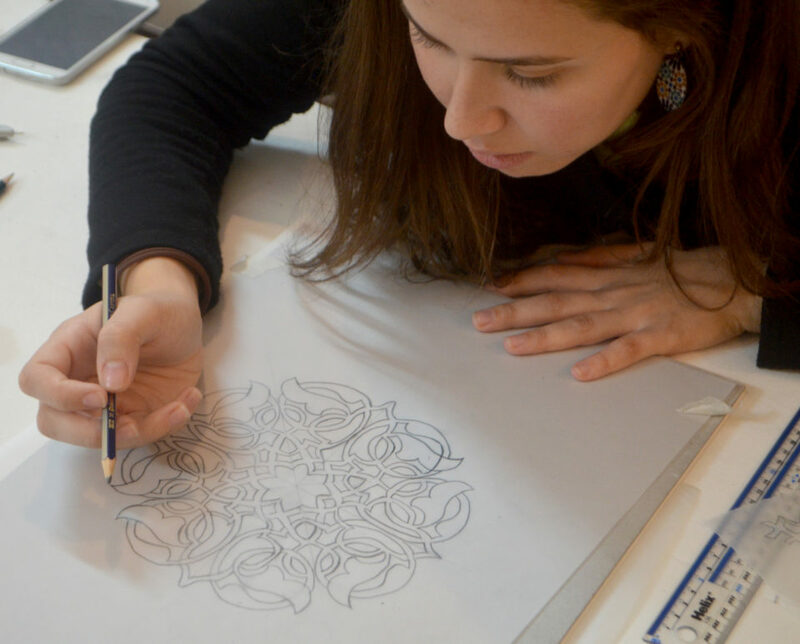 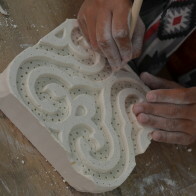 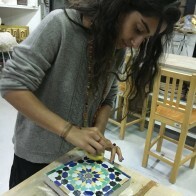 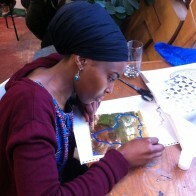 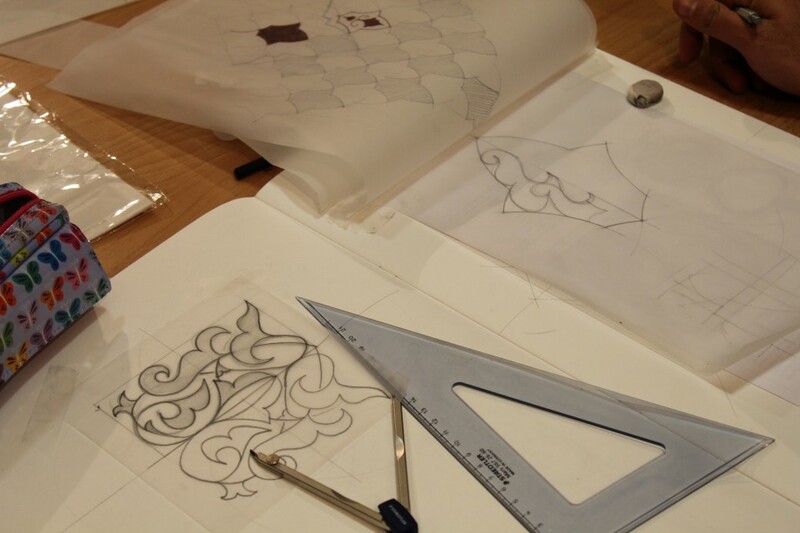 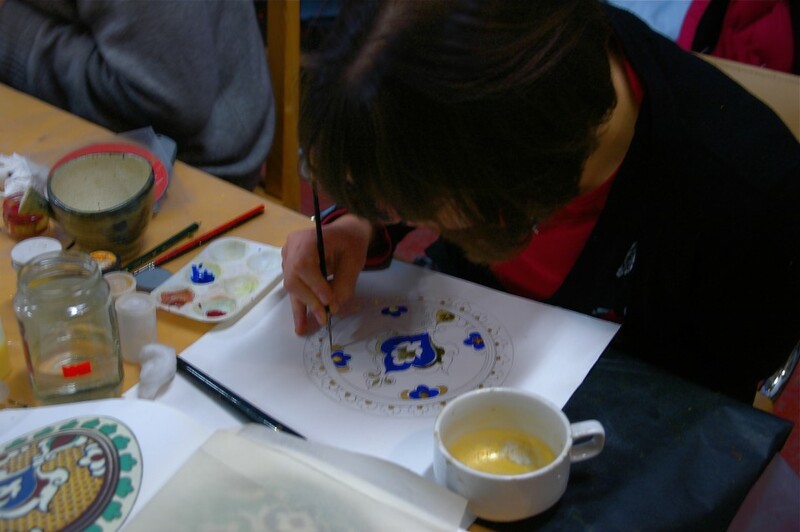 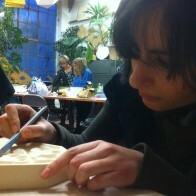 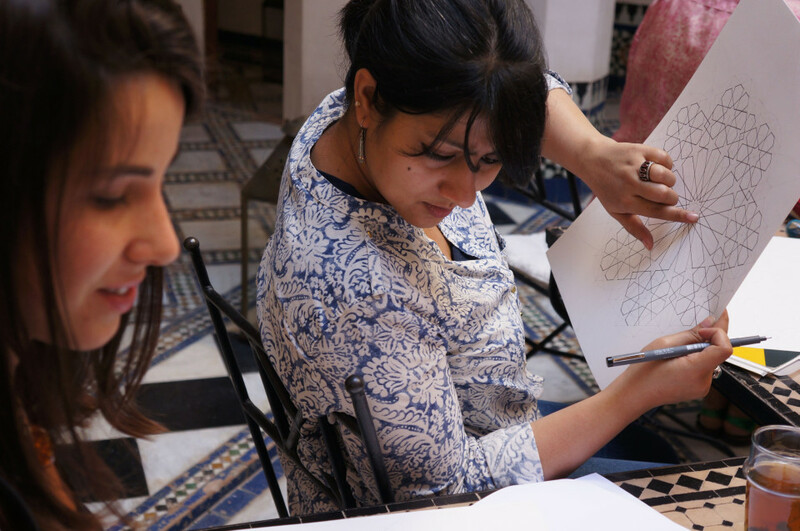 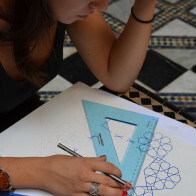 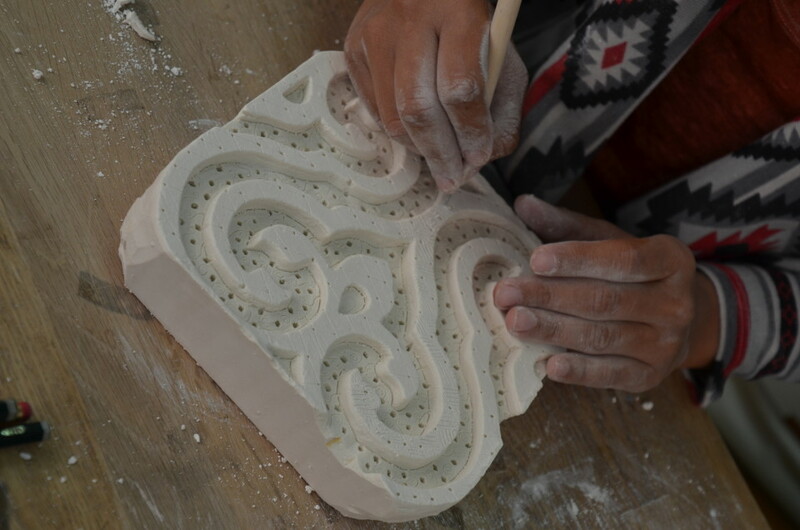 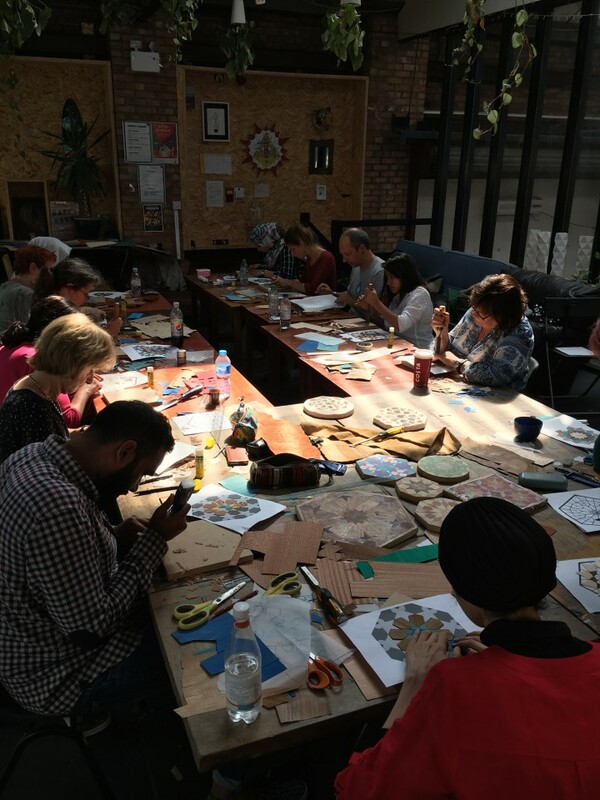 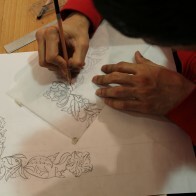 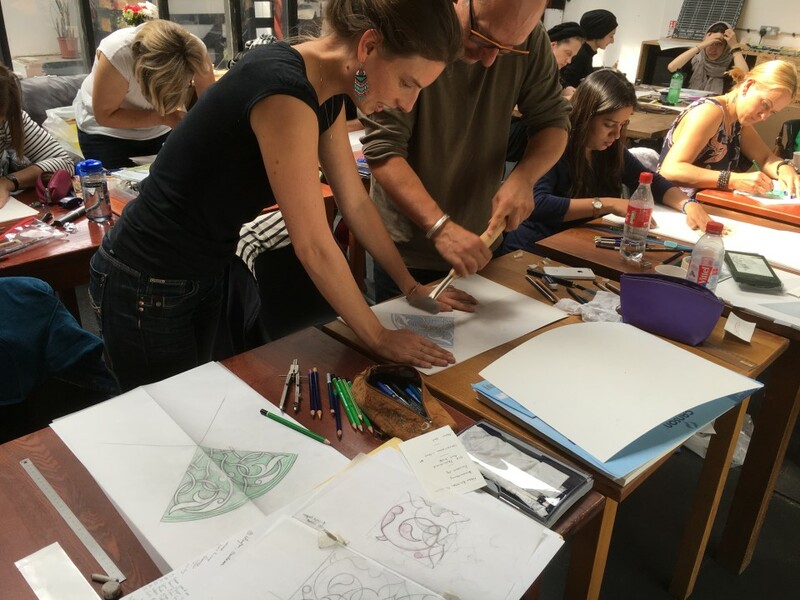 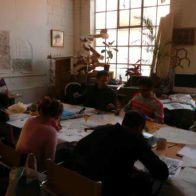 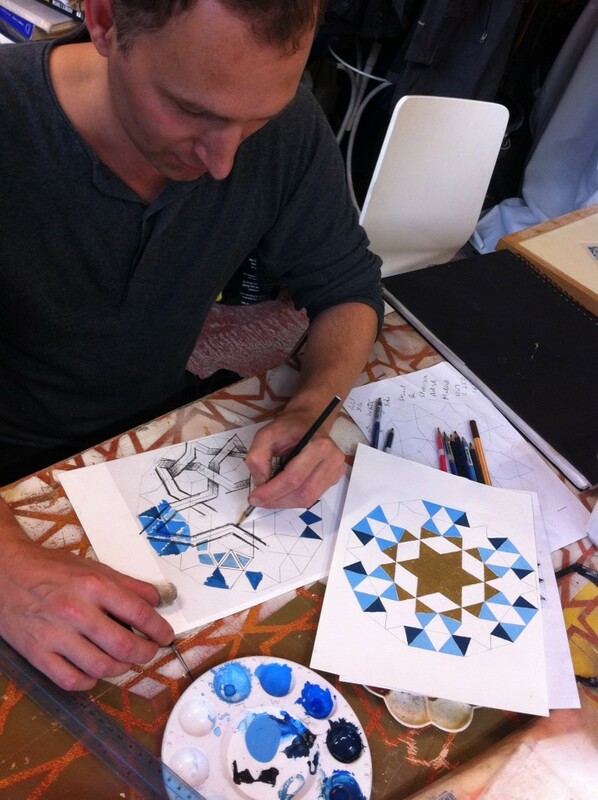 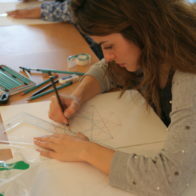 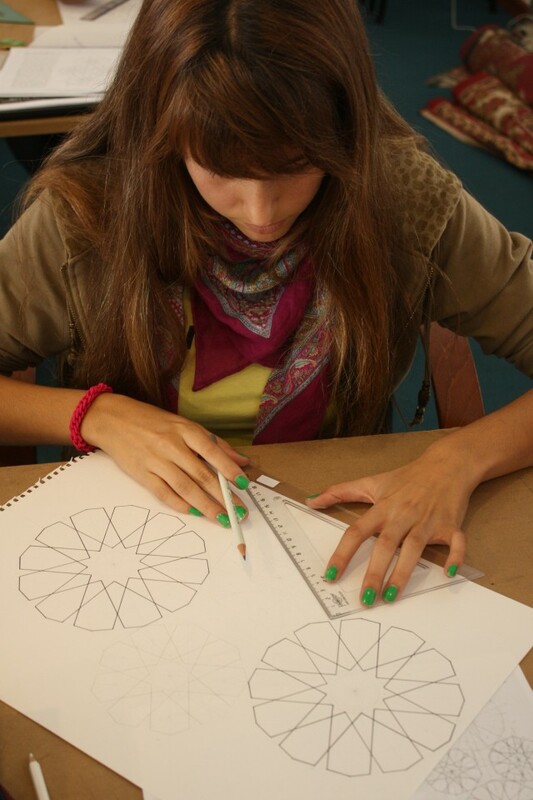 In these unique skills based classes students use traditional methods to explore a range of classic Islamic designs from around the world and learn how to integrate freehand biomorphic motifs (Islimi/Arabesque) with geometric pattern. 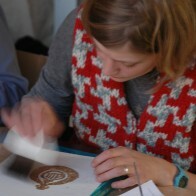 Those signing up for multiple sessions will receive a discount. 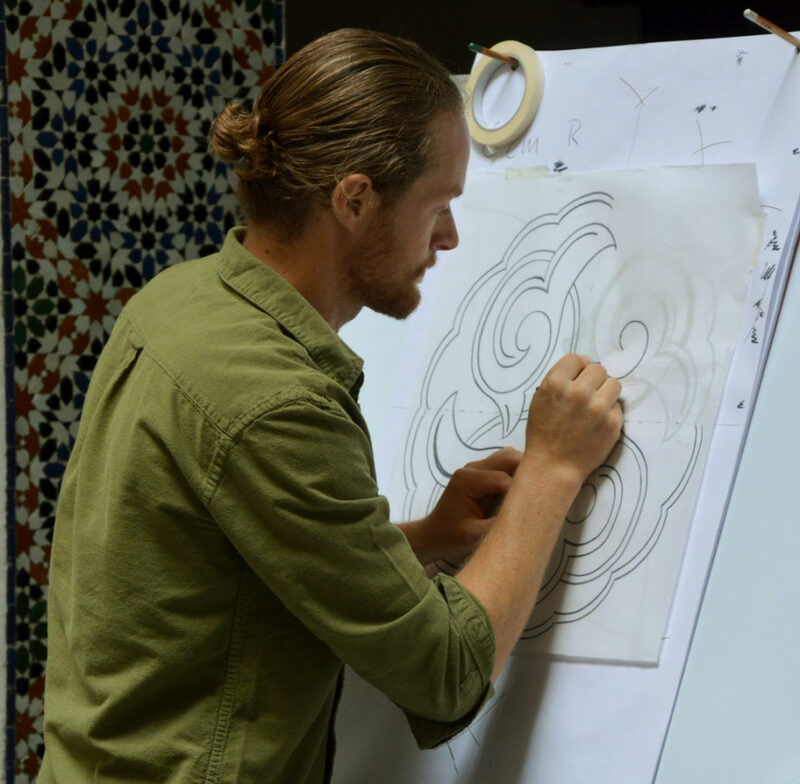 Introduction to the fluid, versatile freehand biomorphic aspects of Islamic Pattern. 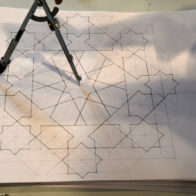 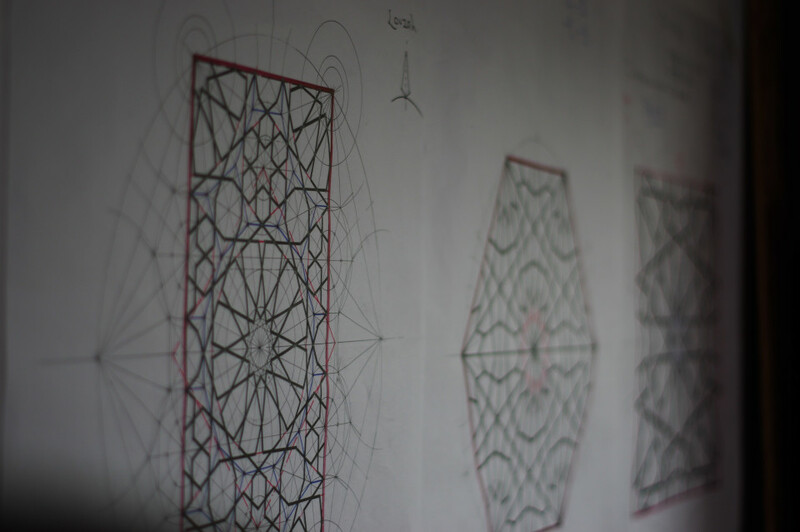 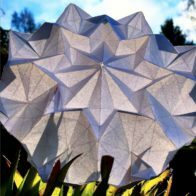 Fold complex geometric Islamic patterns with ease and then use these as a basis to build an artwork reminiscent of the famous domed muqarnas doomed ceilings. 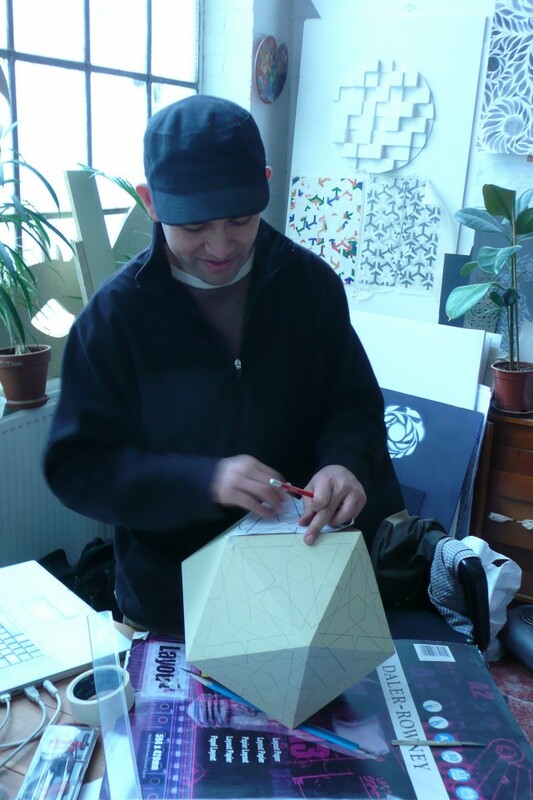 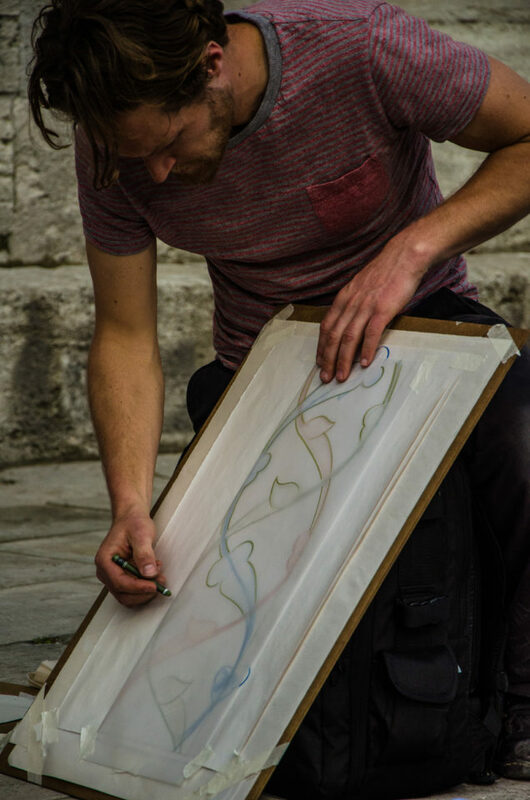 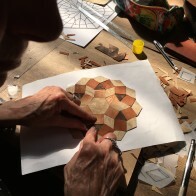 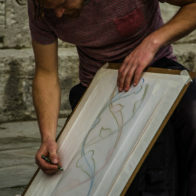 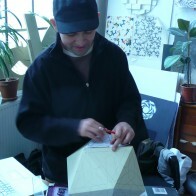 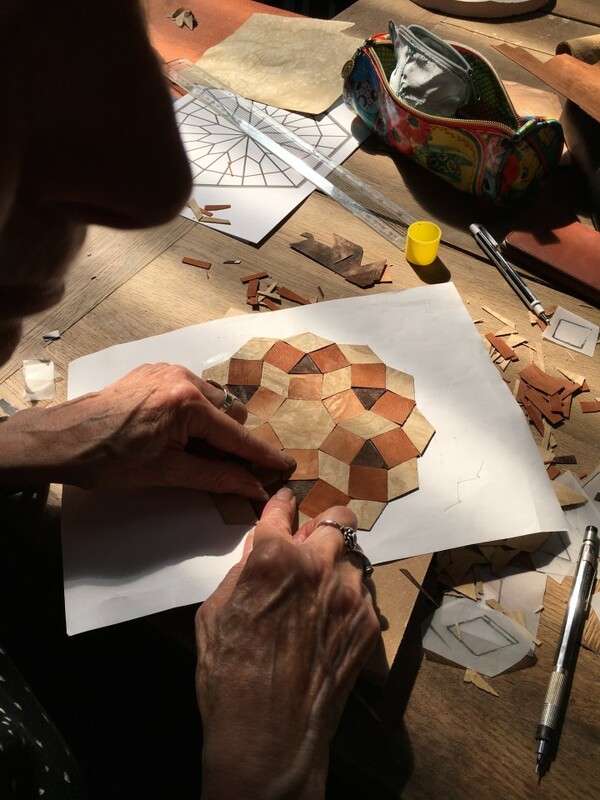 Using the traditional tools of compass and straight edge we will a create a traditional geometric design and explore principles of tessellation. 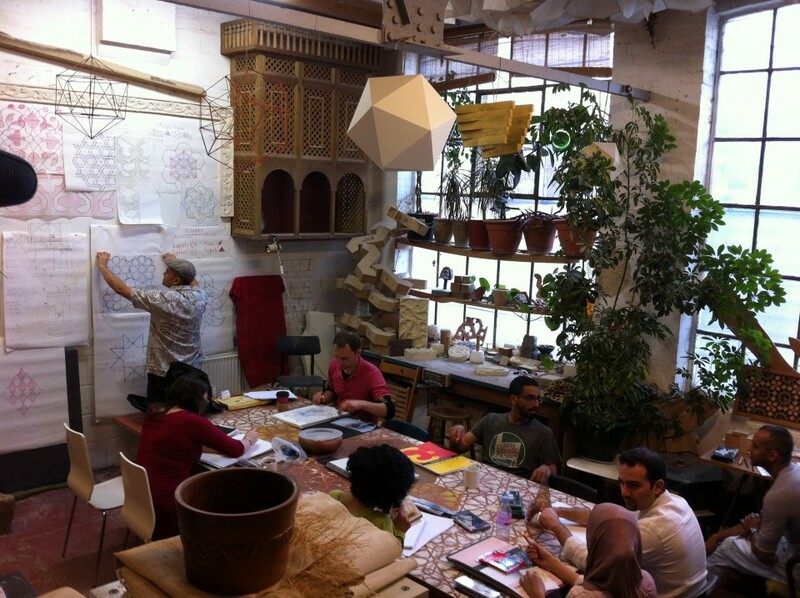 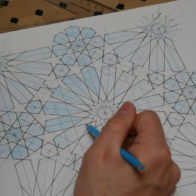 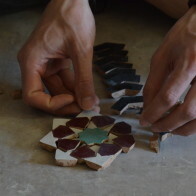 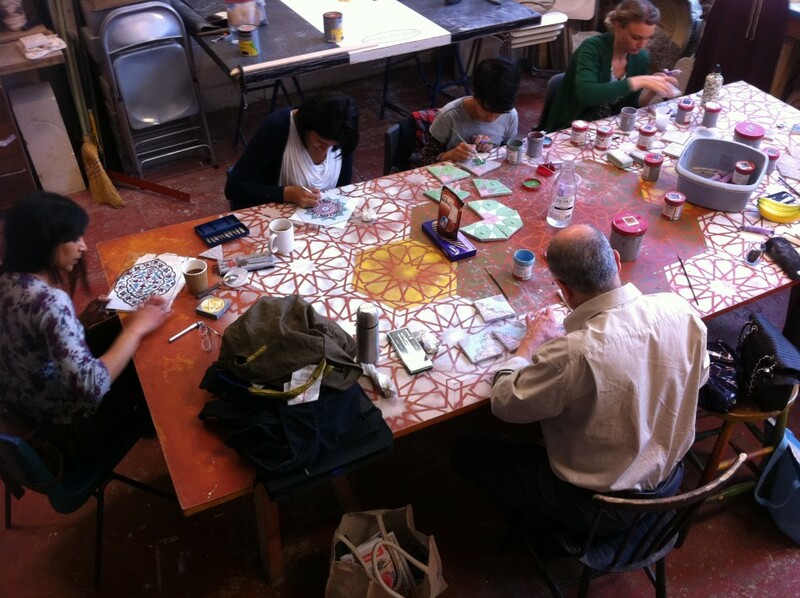 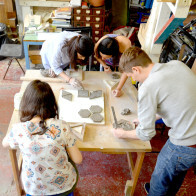 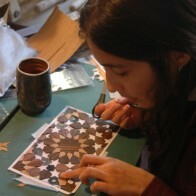 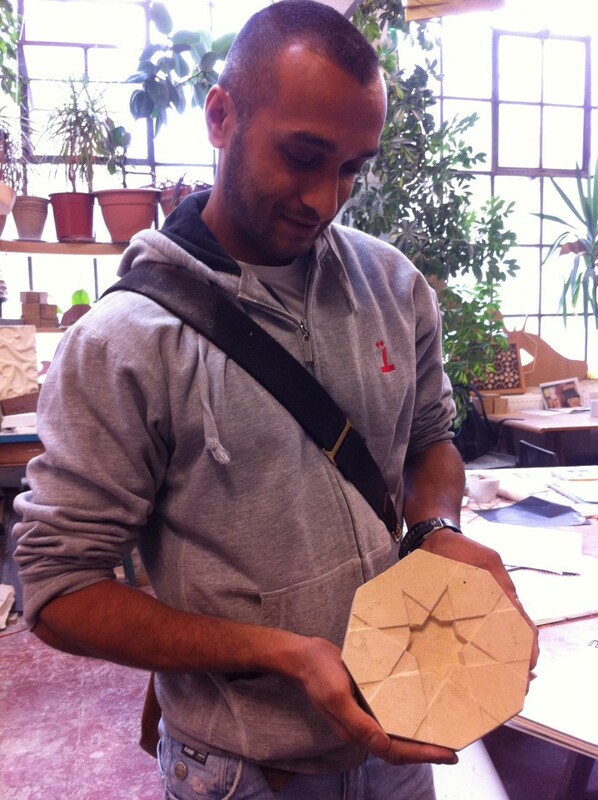 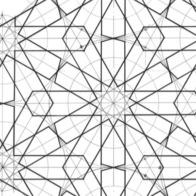 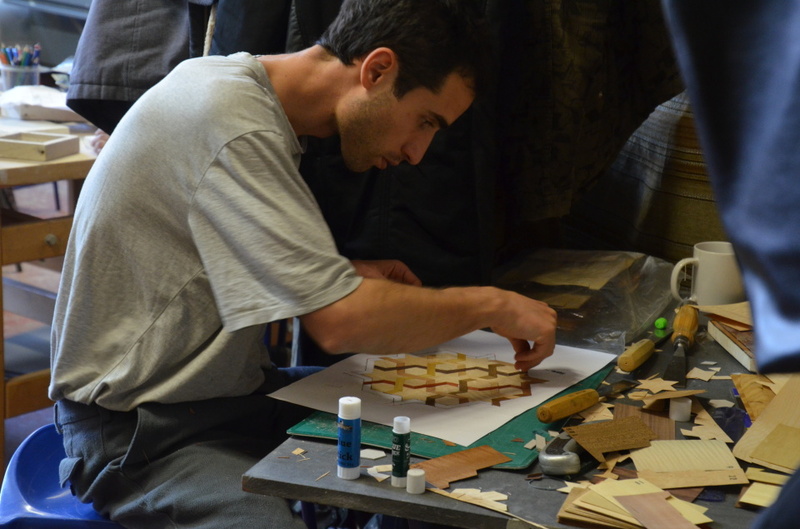 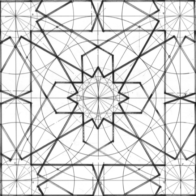 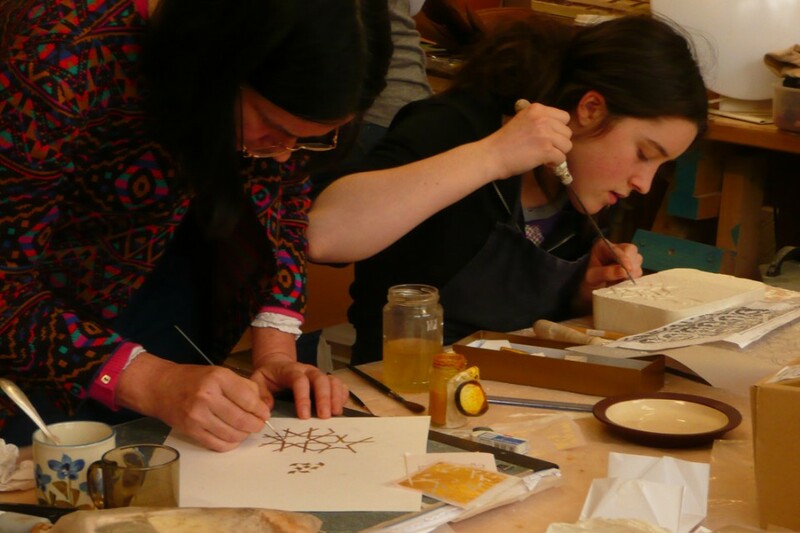 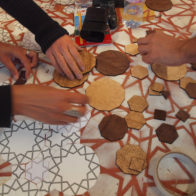 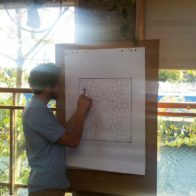 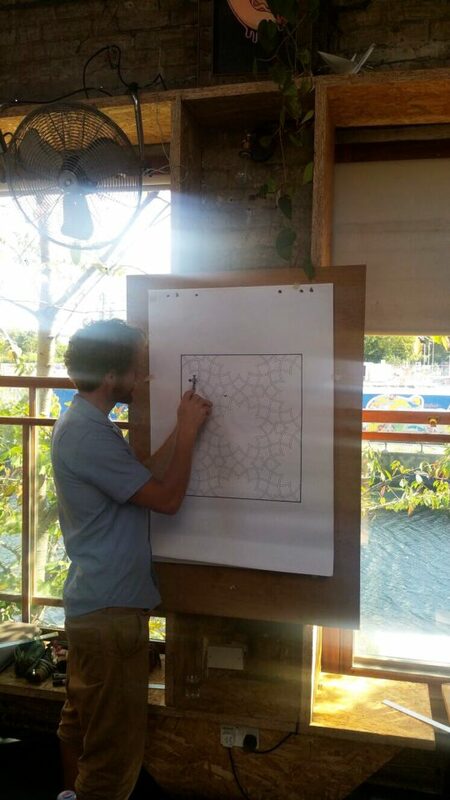 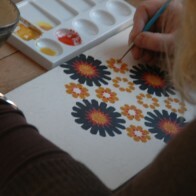 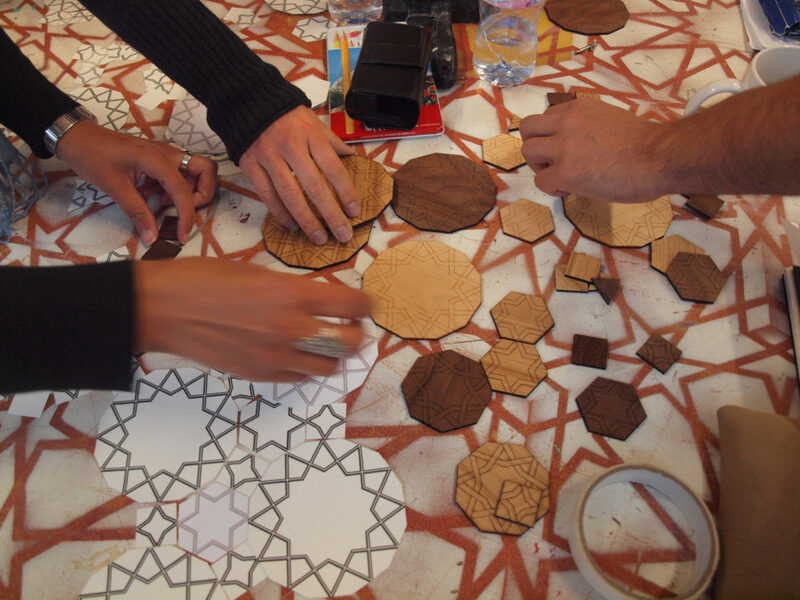 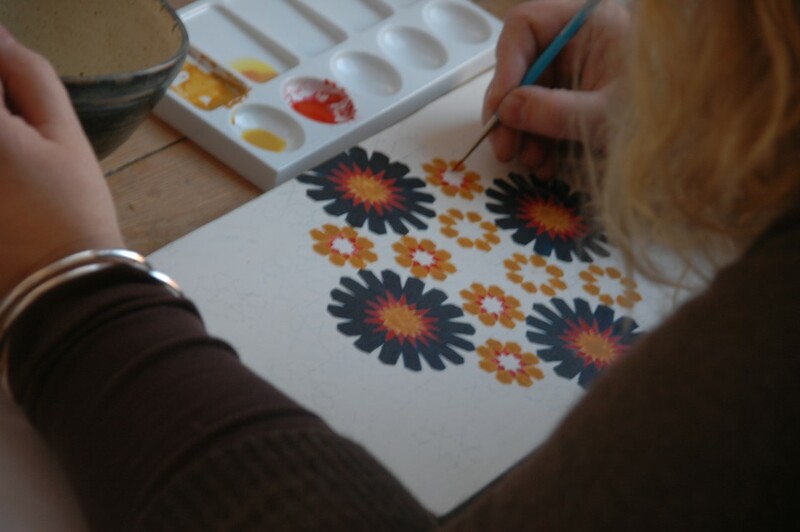 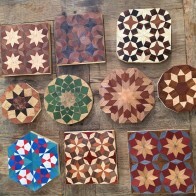 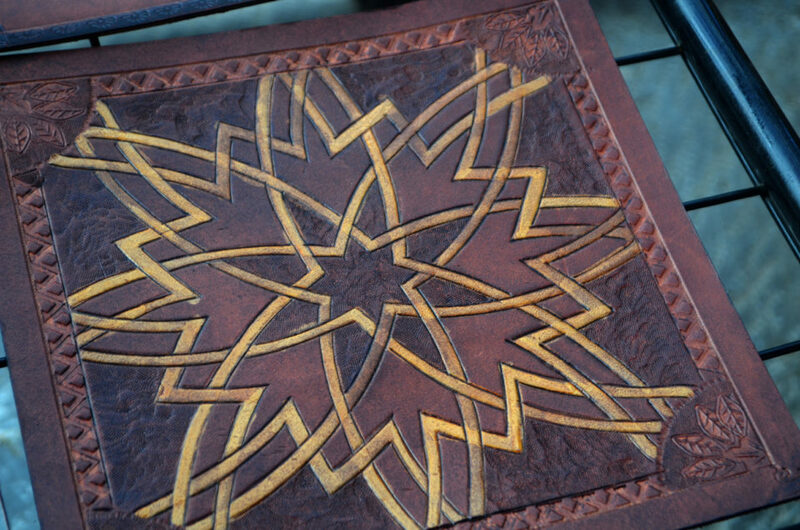 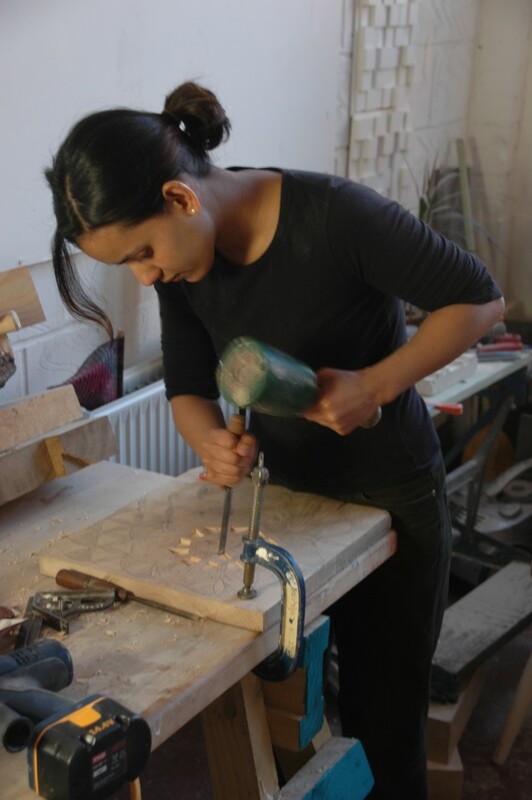 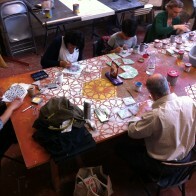 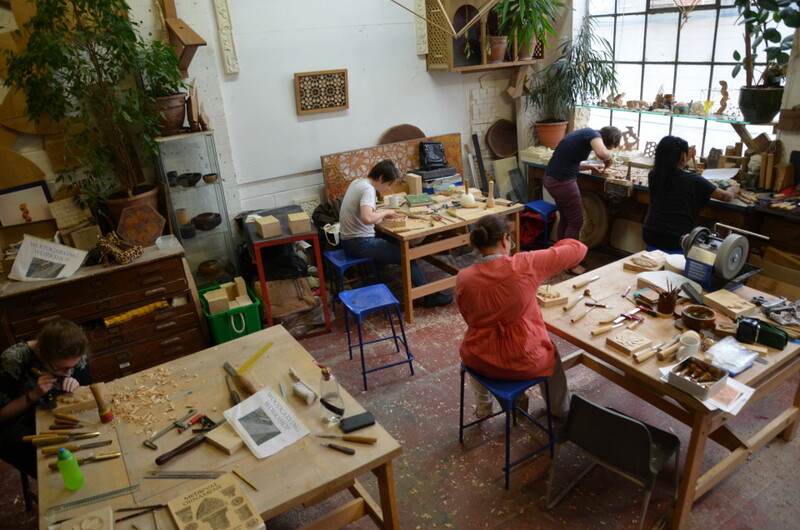 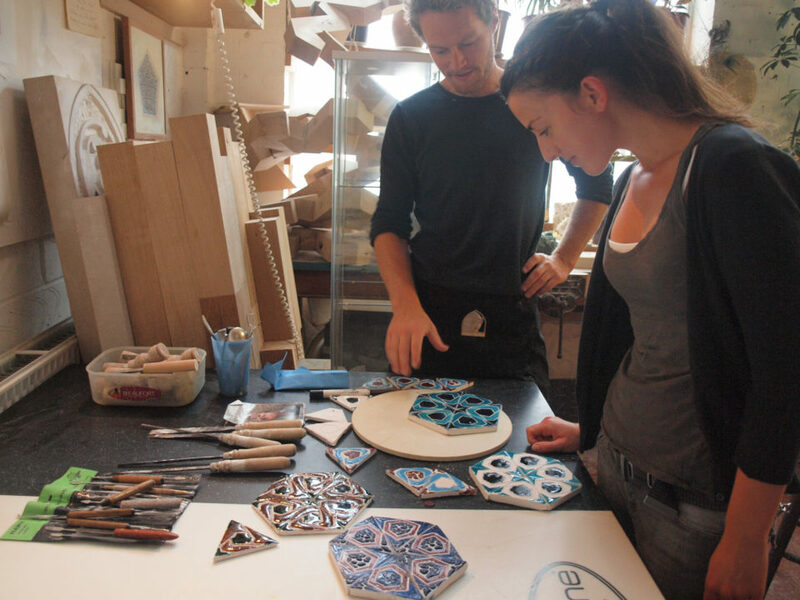 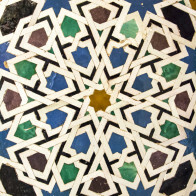 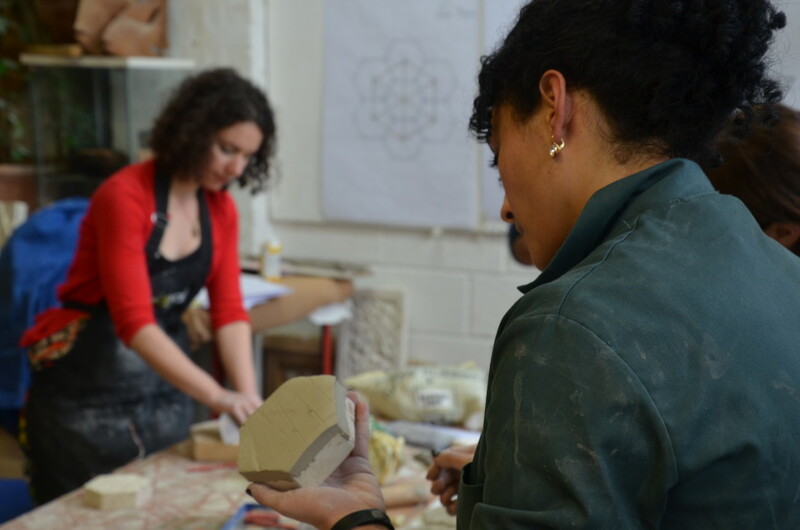 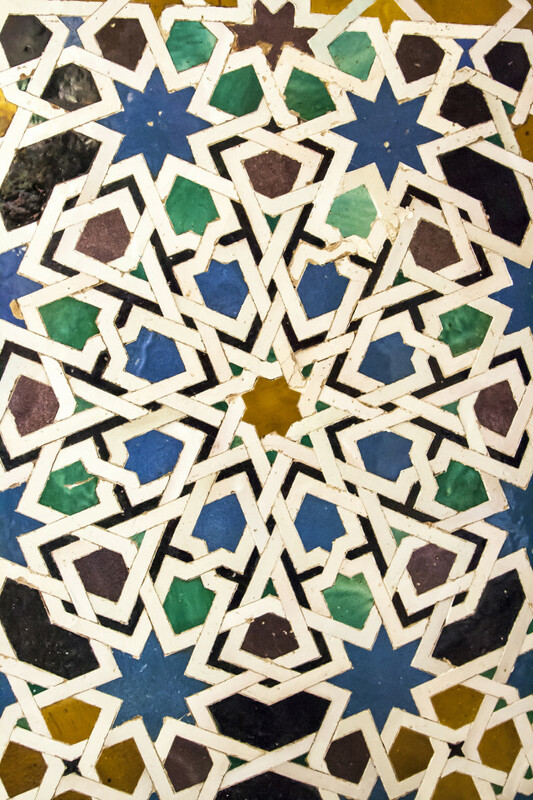 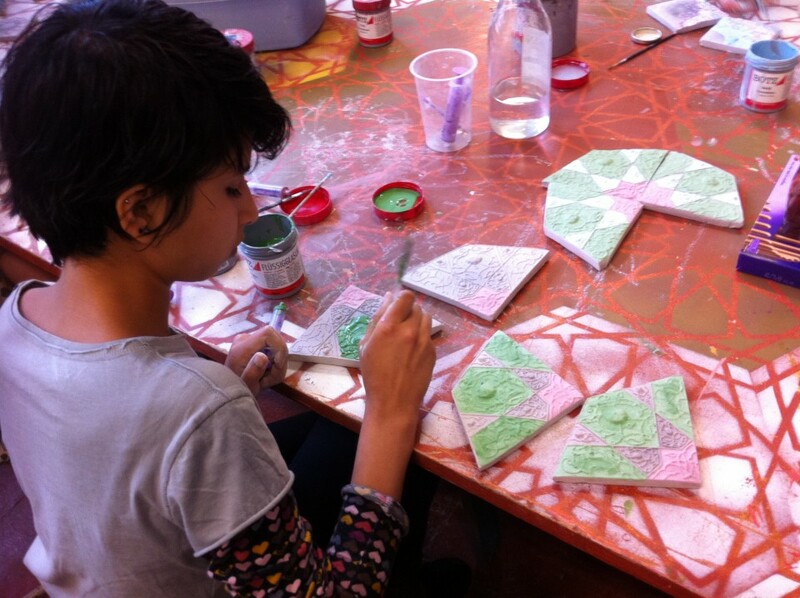 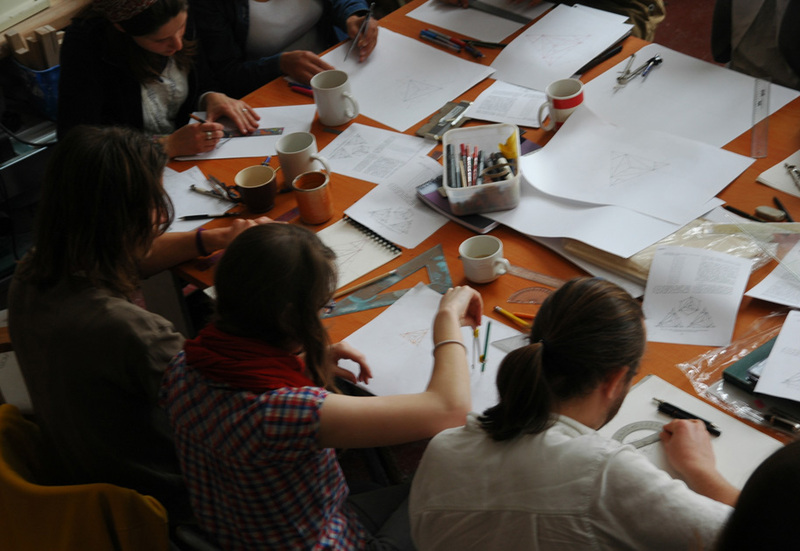 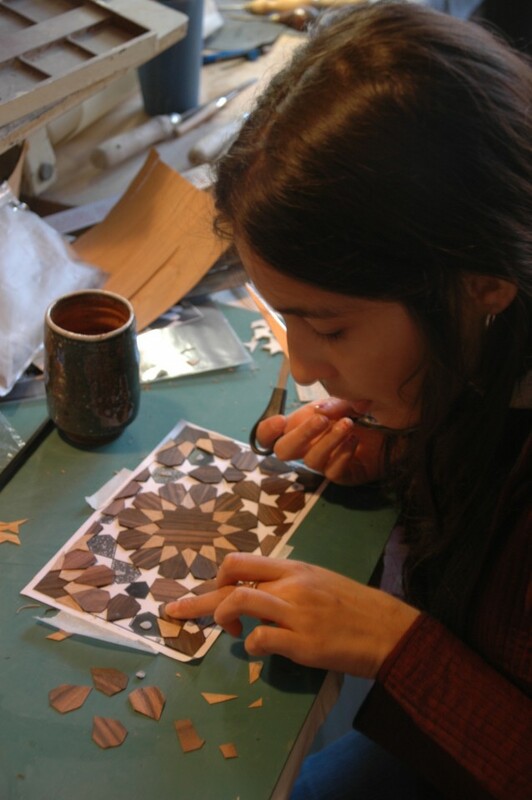 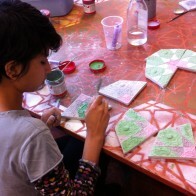 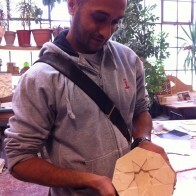 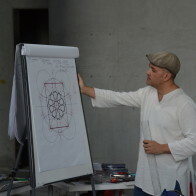 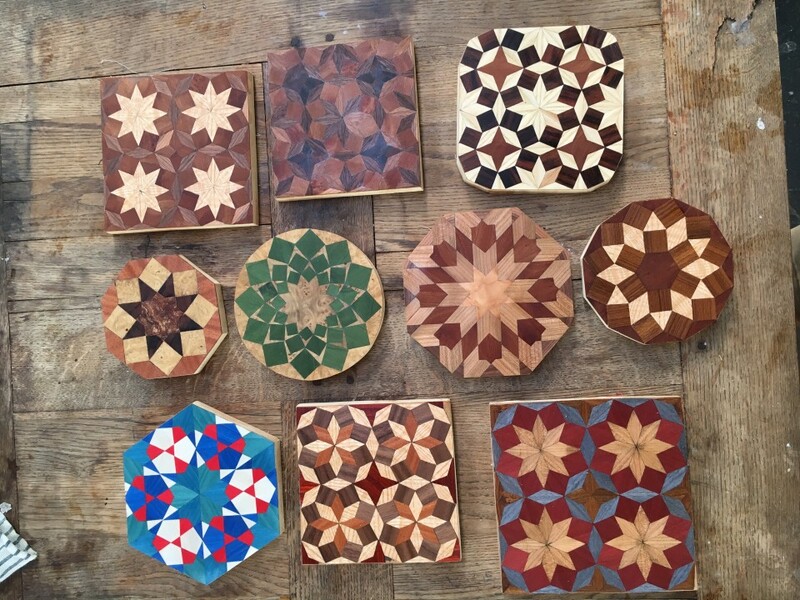 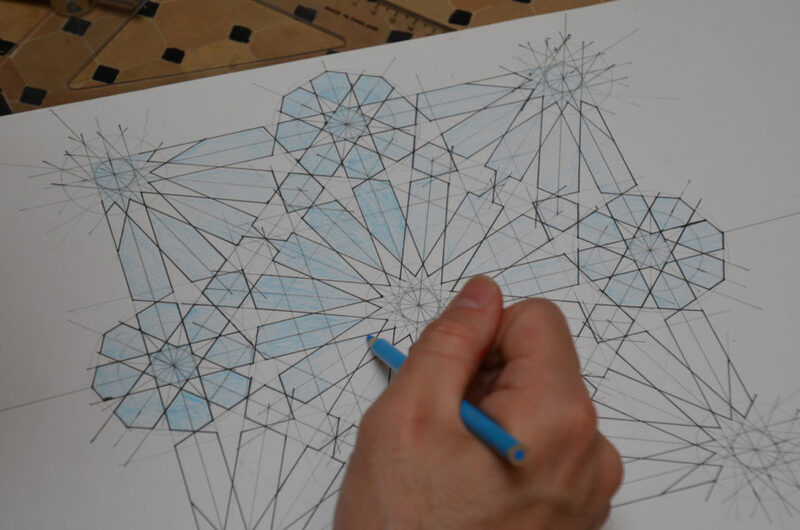 This session will focus on building patterns from medieval Persia and 5&10-fold symmetry. 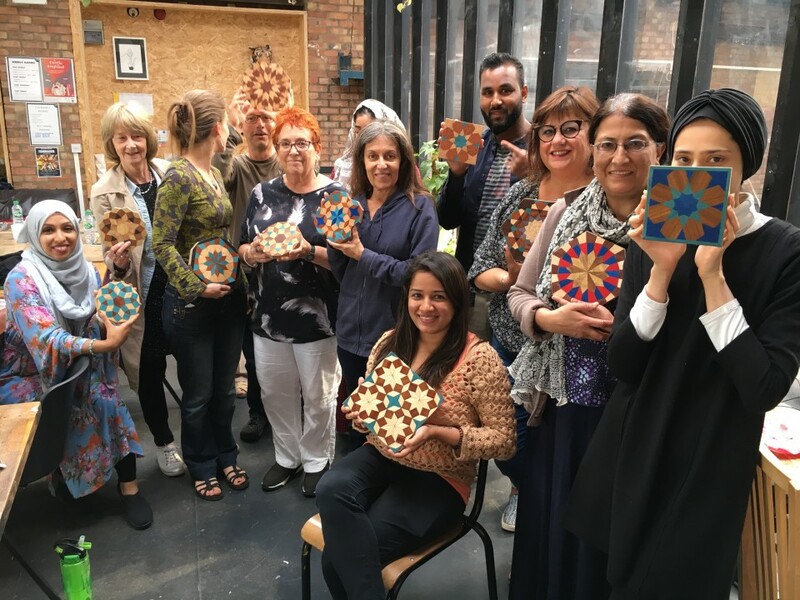 Create a beautiful 6 fold ‘Rumi Islimi pattern’ from Kerman (pictured right) & learn about the ‘Rumi’ family of biomorphic motifs. 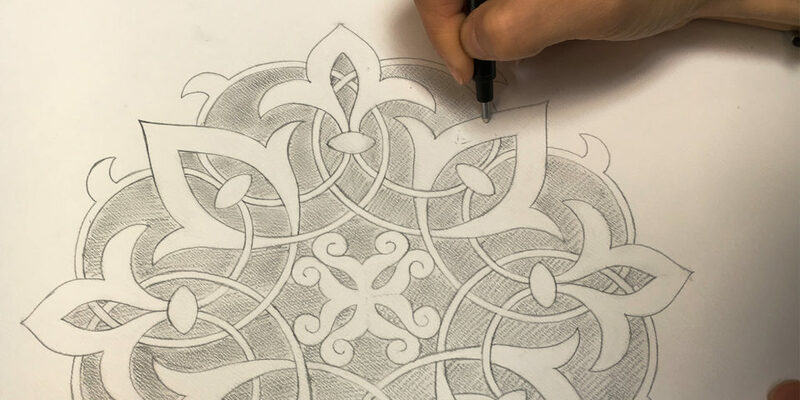 Learn beautiful biomorphic motifs from Egypt & Syria and draw this stunning 12 fold frontispiece of the Sultan Uljaytu Quran (pictured right). 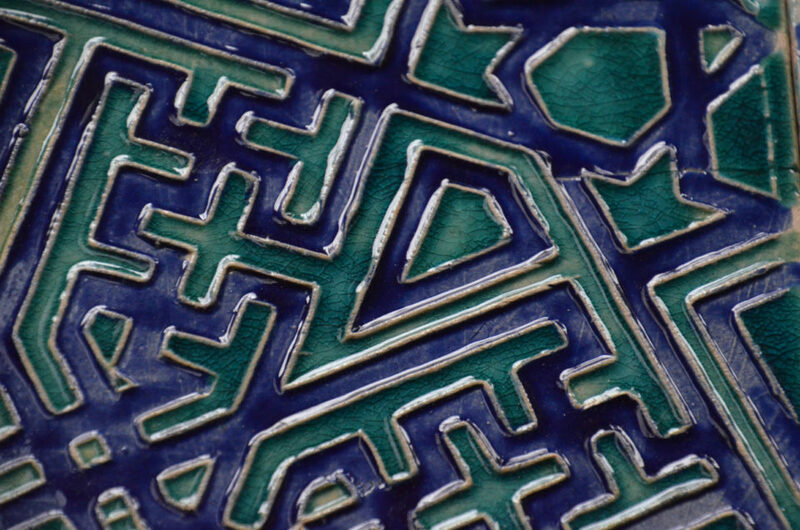 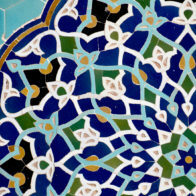 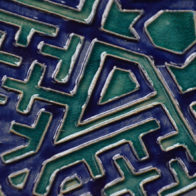 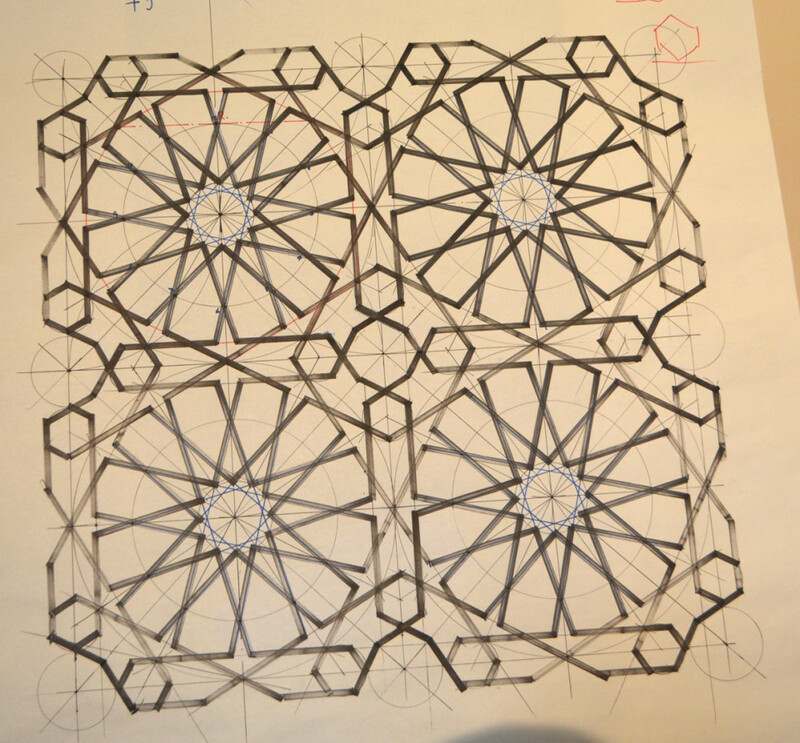 We will draw this famous ceramic radial pattern from The Jāmeh Mosque of Yazd. 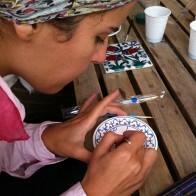 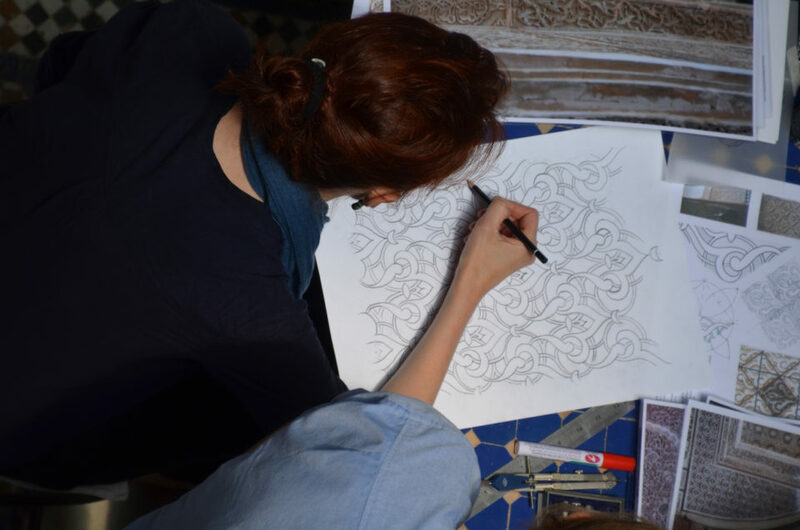 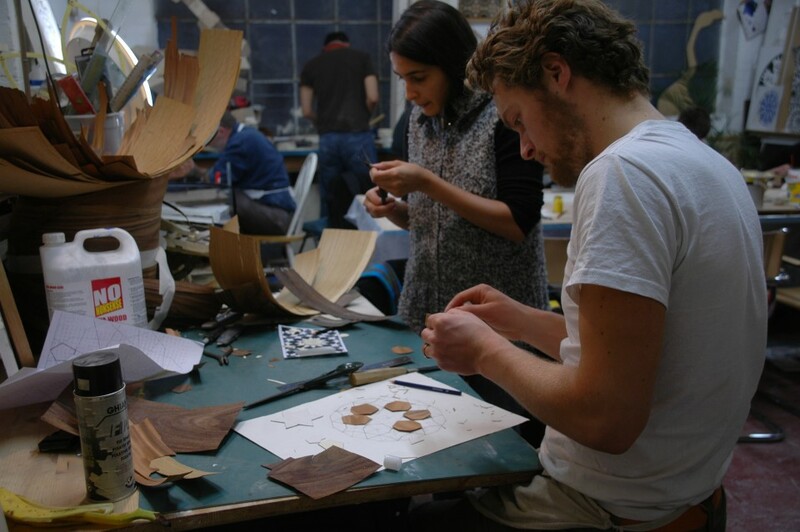 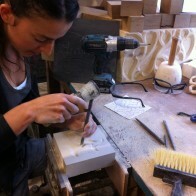 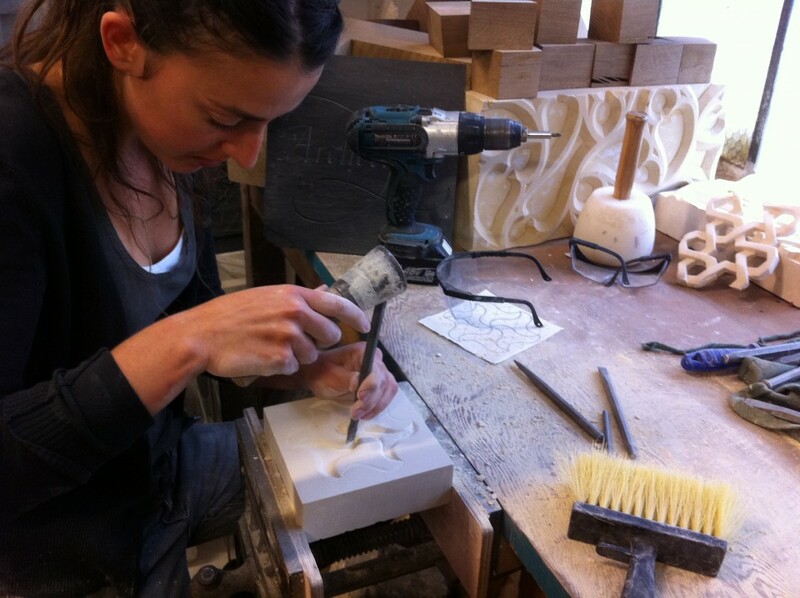 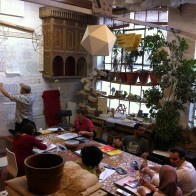 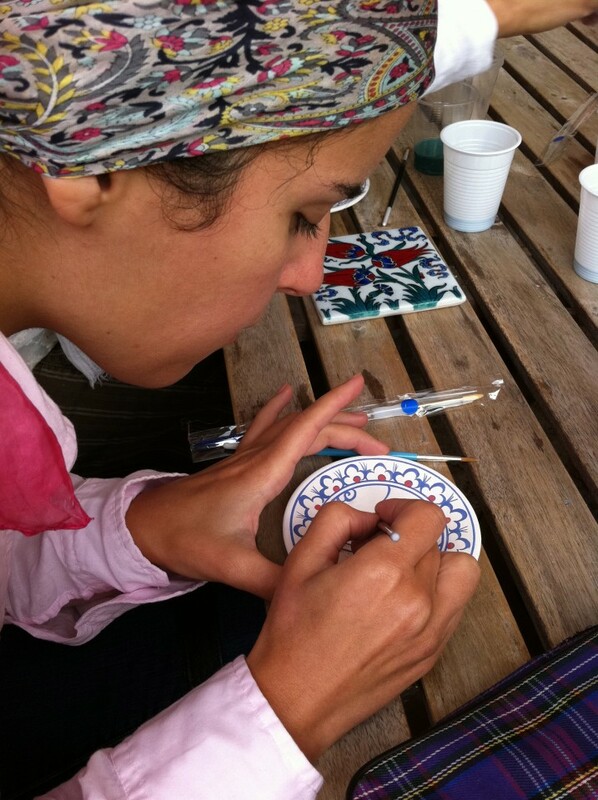 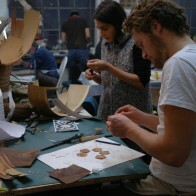 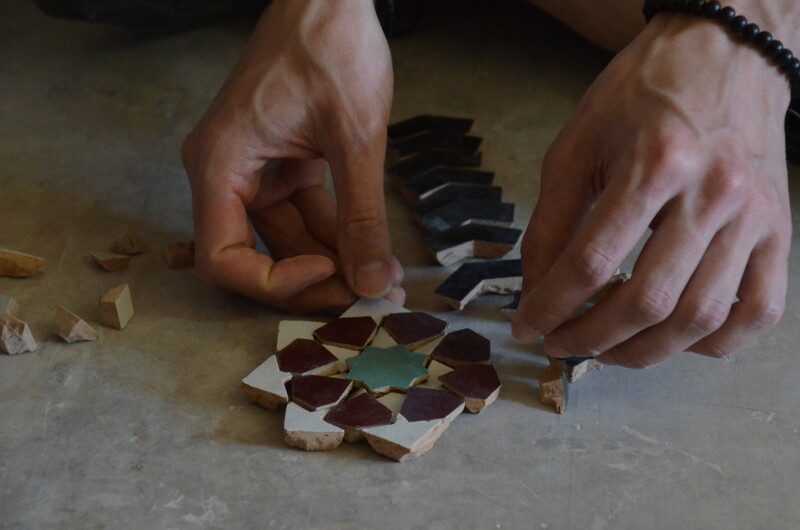 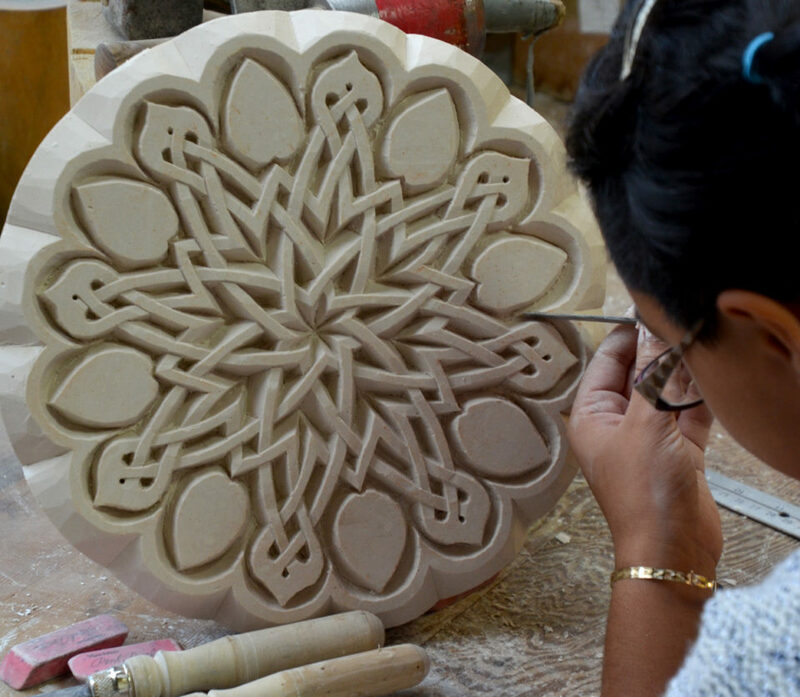 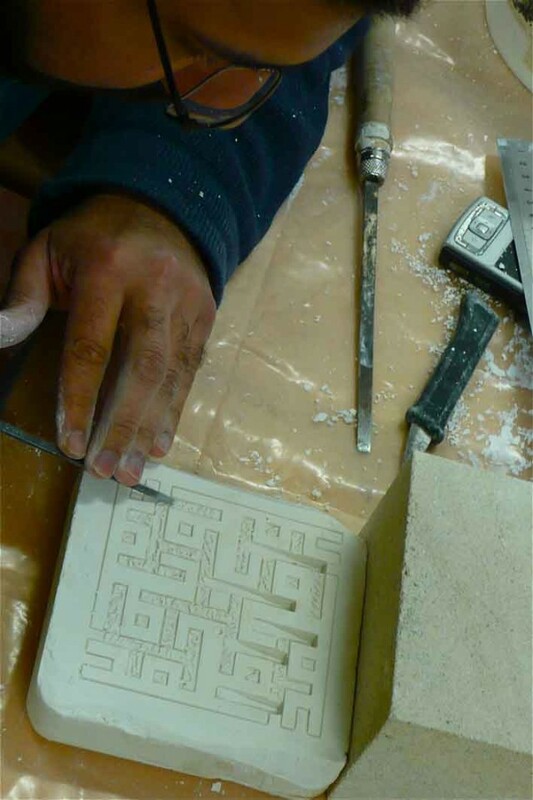 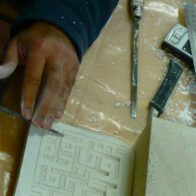 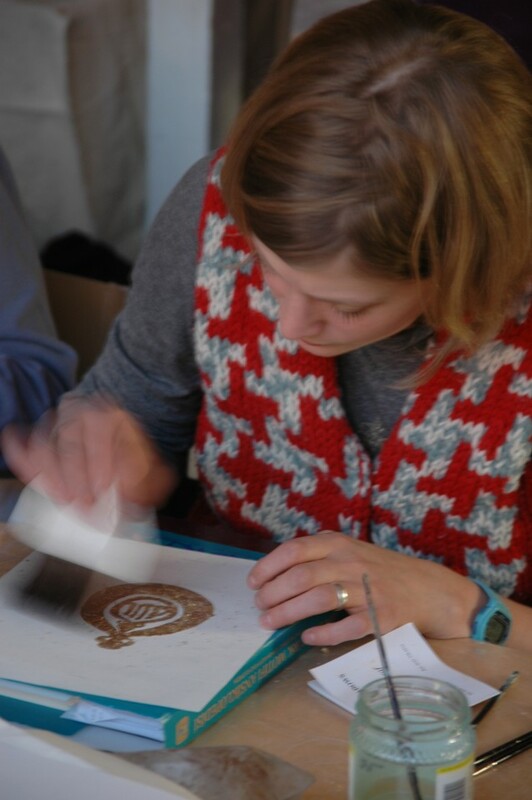 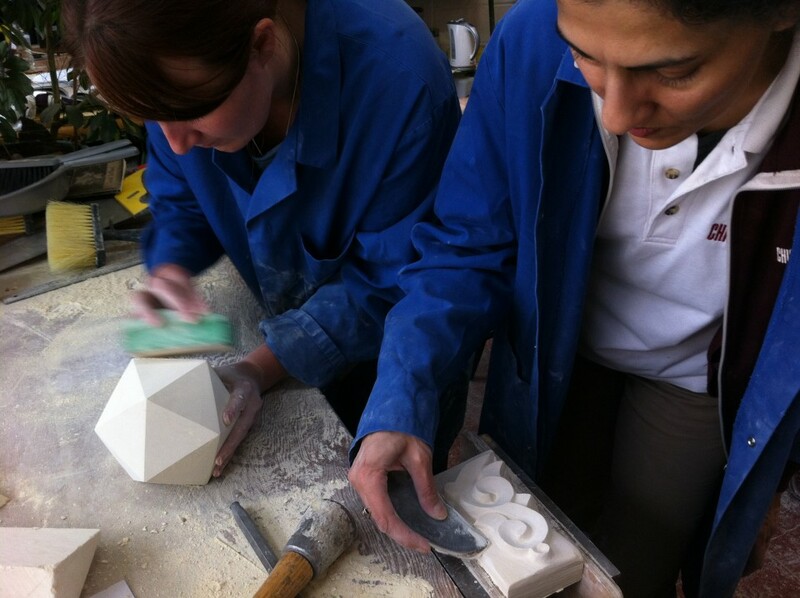 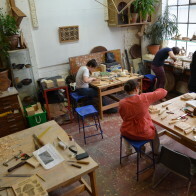 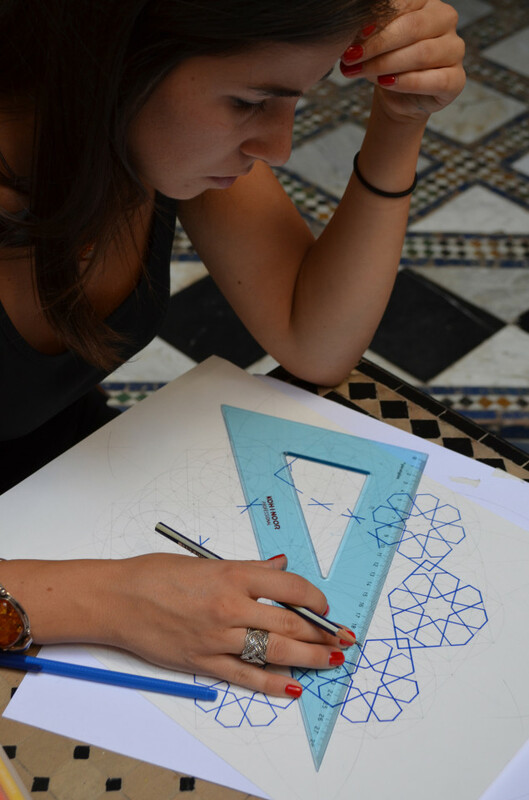 Experience constructing a classical Moorish design typical of those found in the Nasrid Palace of the Alhambra. 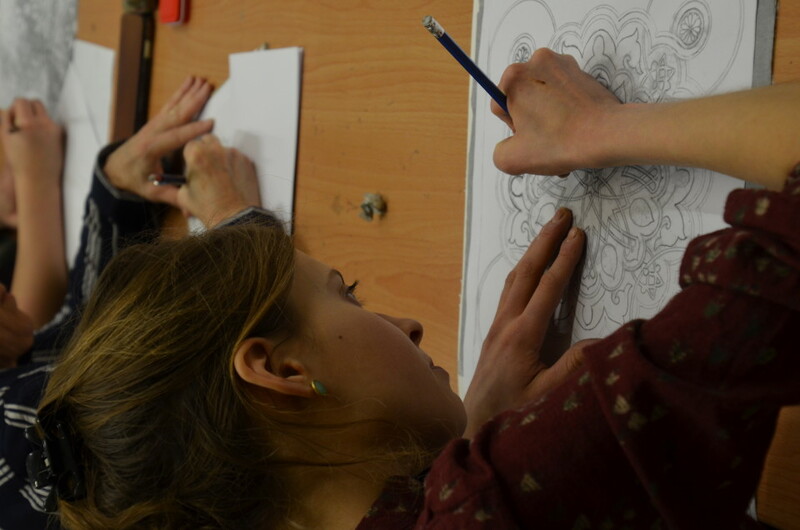 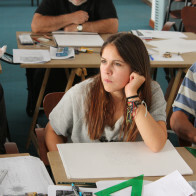 Booking: We require the course fee to be paid in order to register a place. 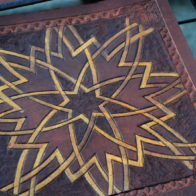 Payments refundable if 5 weeks' notice of cancellation given.